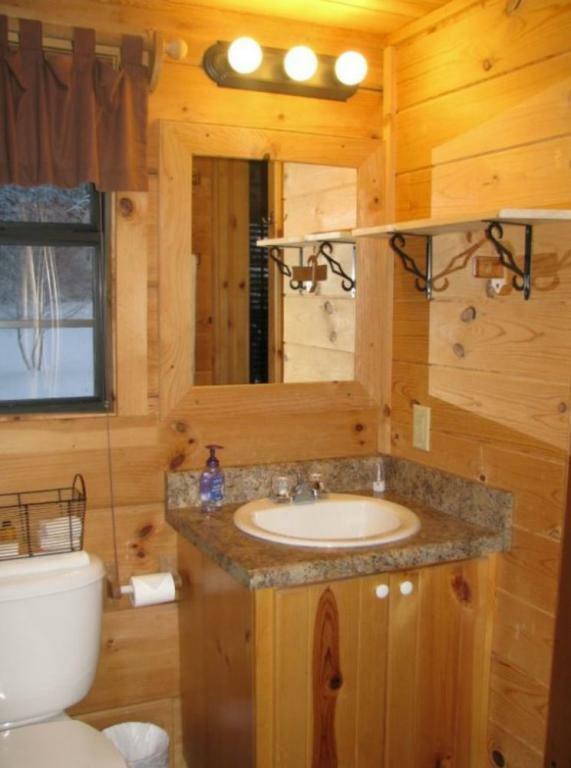 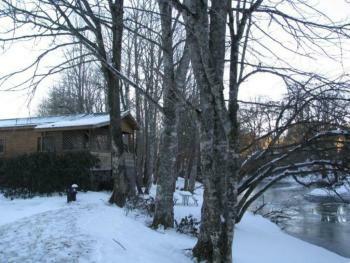 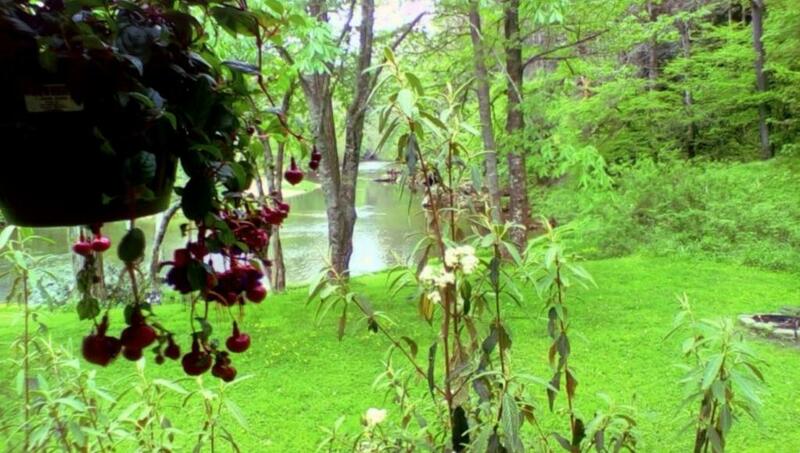 Our "Mountain River" cabin is one of three cabins that sleep six. 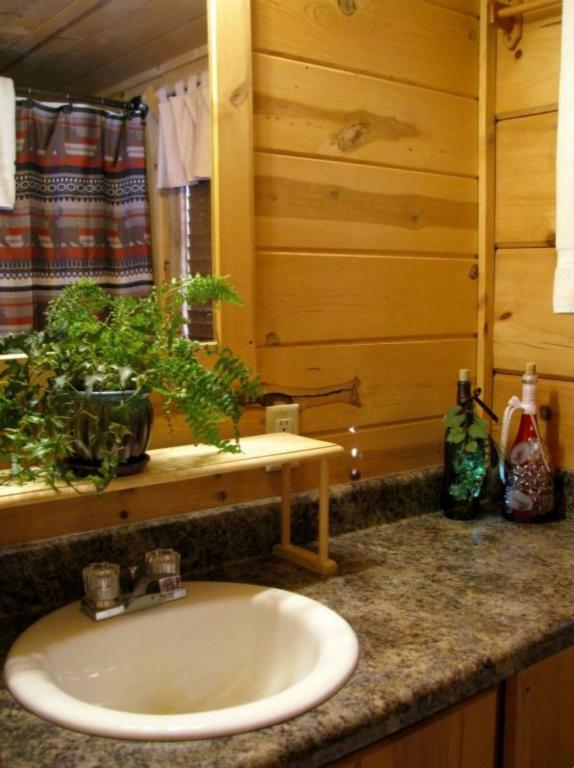 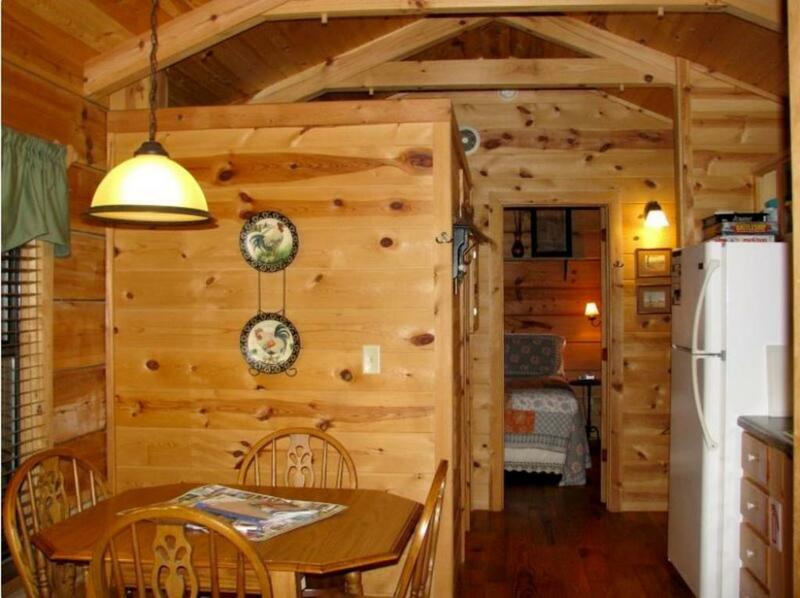 This cabin is completely unique from the others in both layout & in extra amenities. 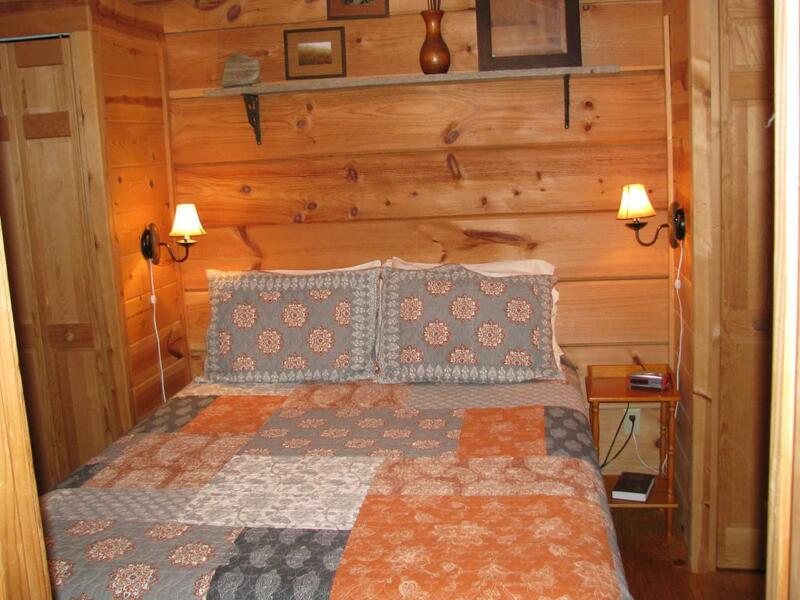 The bedroom has a comfortable queen size bed. 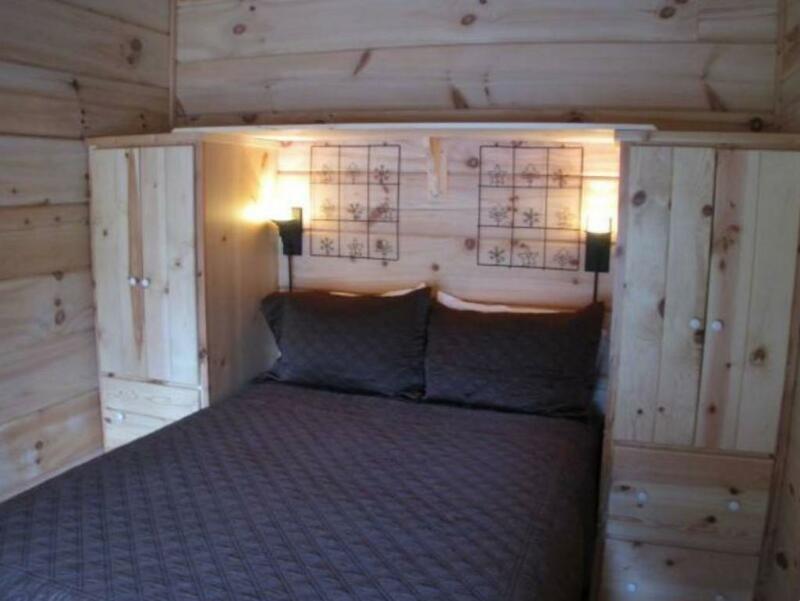 There are twin beds in the sleeping loft. 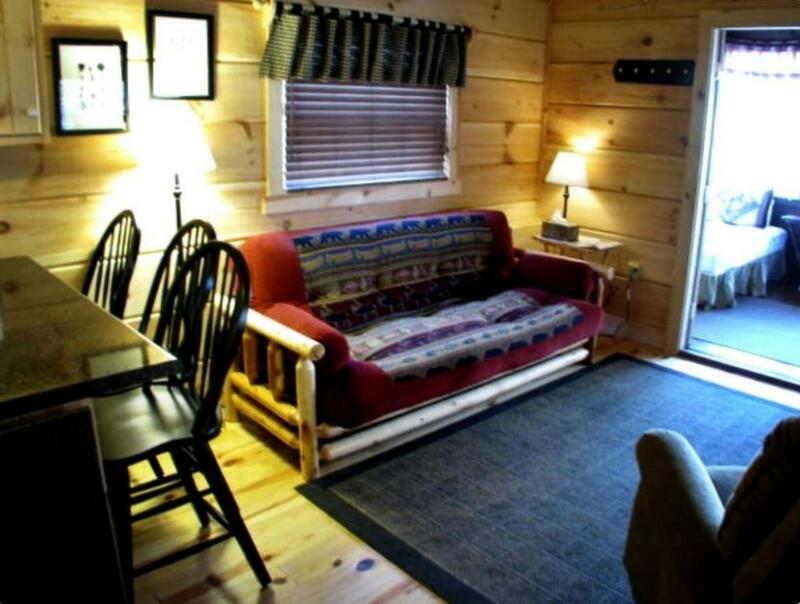 The futon sofa folds out to a full size bed. 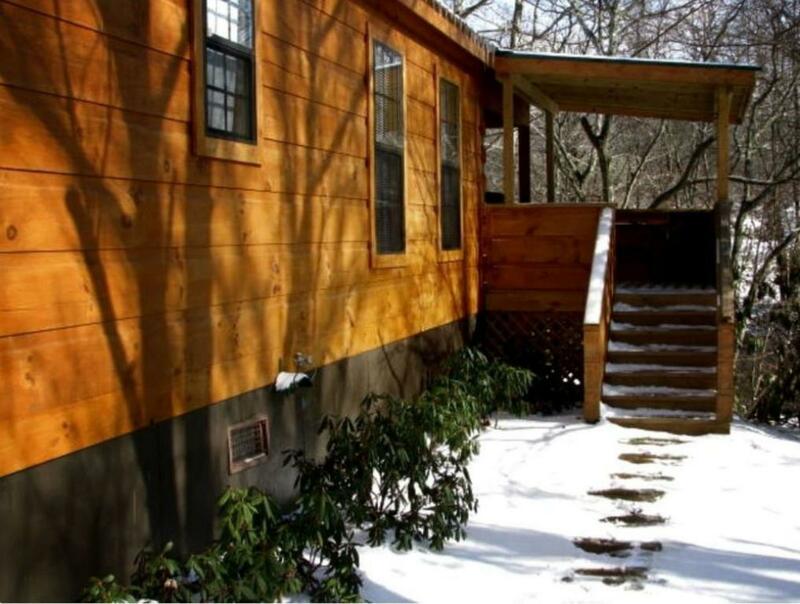 This cabin has a 520 sq ft covered deck. 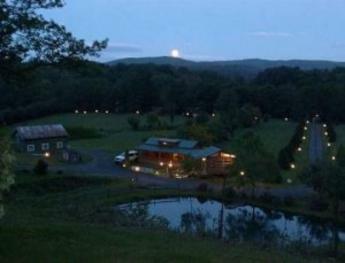 Additionally - FP, W/D, dishwasher and two person hot tub; making it perfect for those desiring to stay for longer than a couple nights. 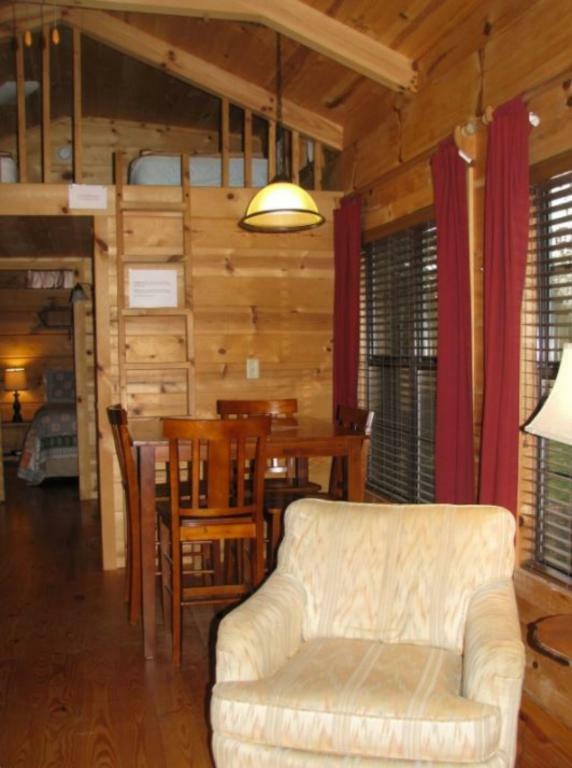 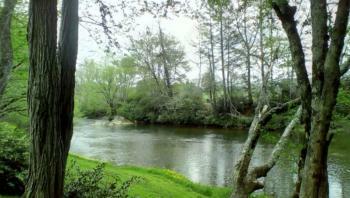 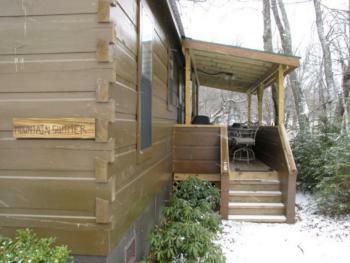 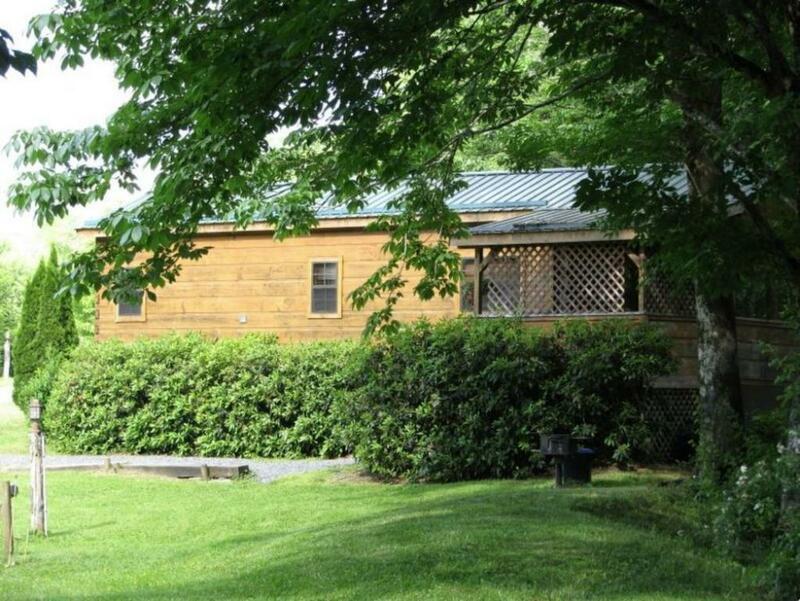 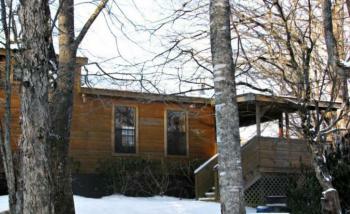 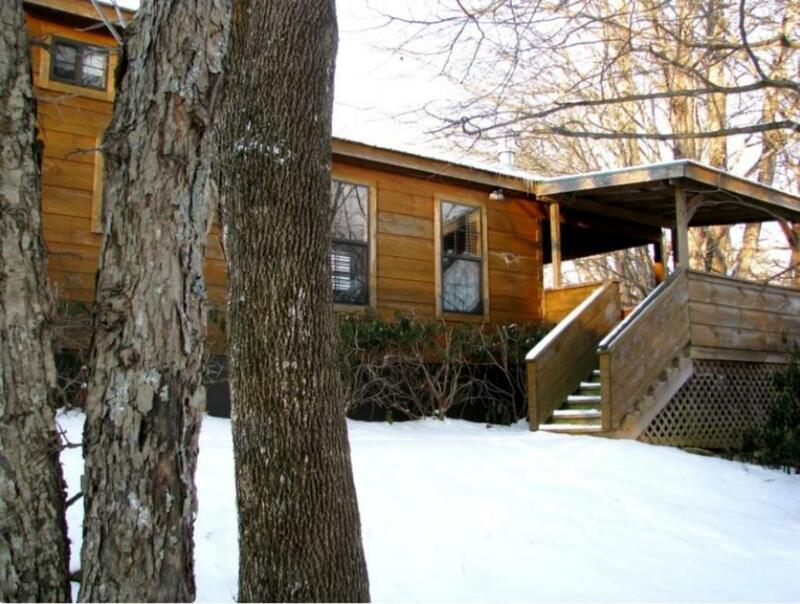 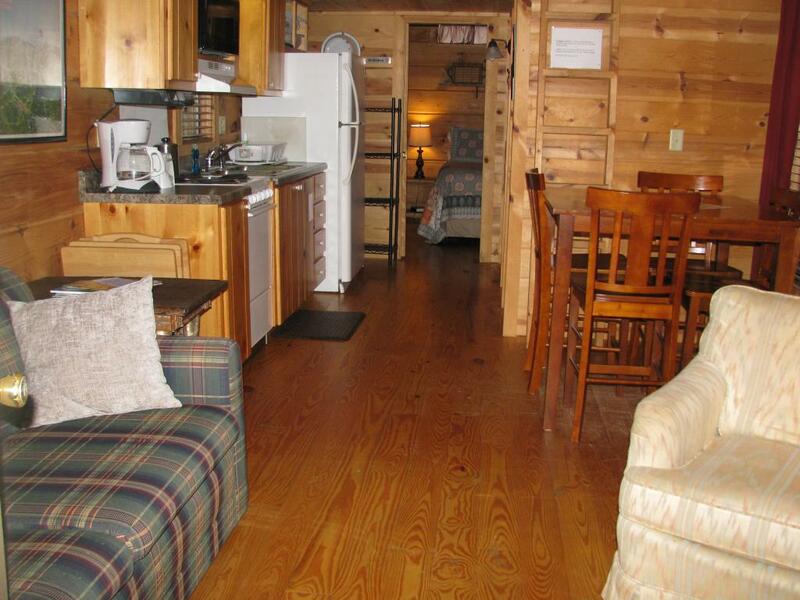 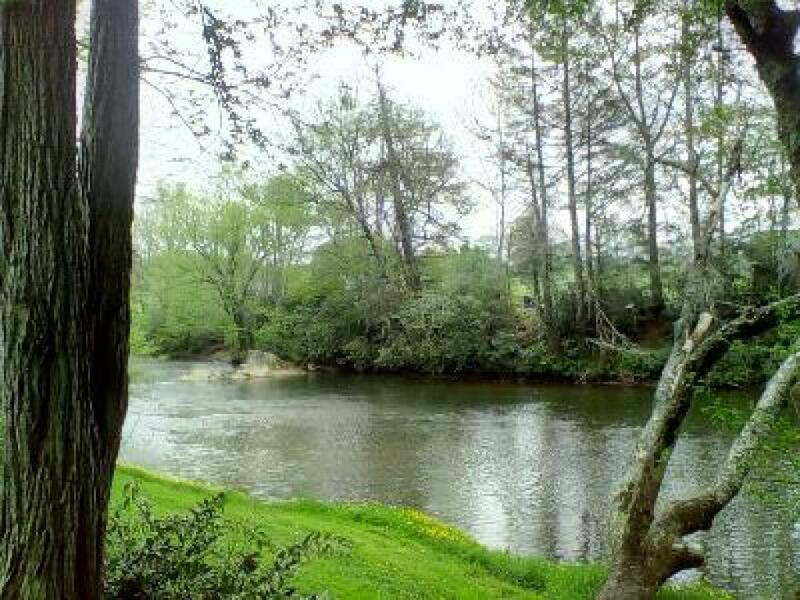 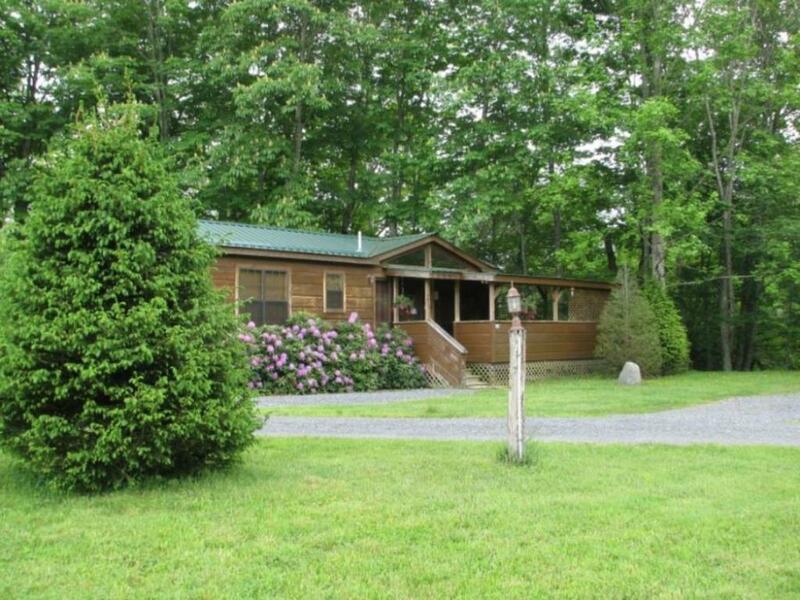 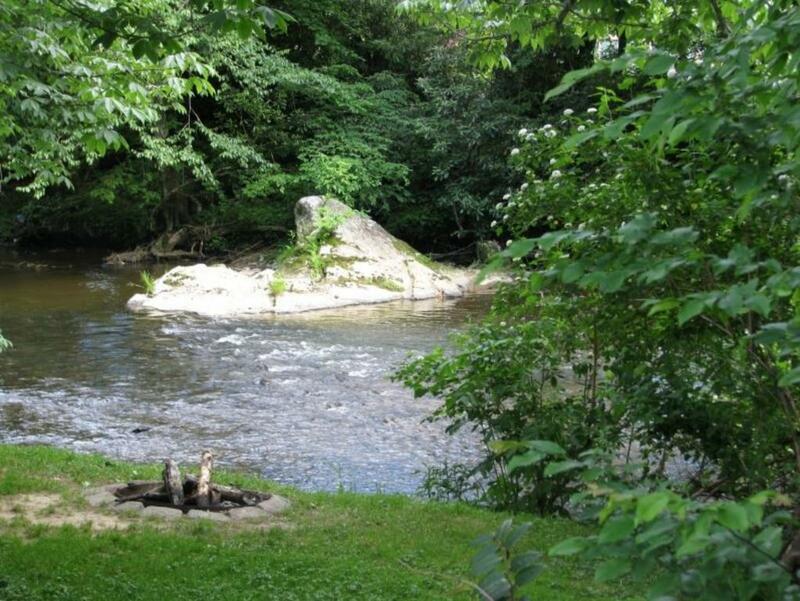 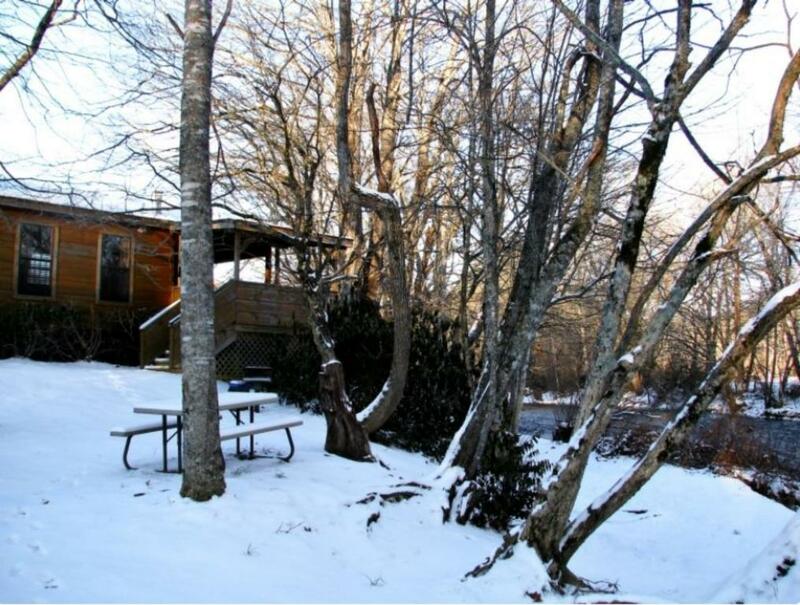 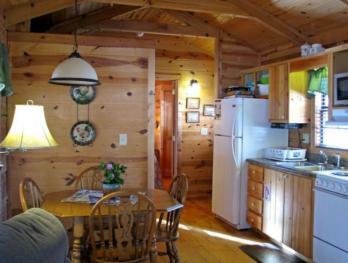 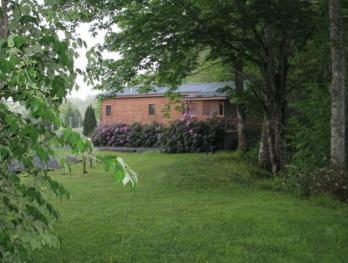 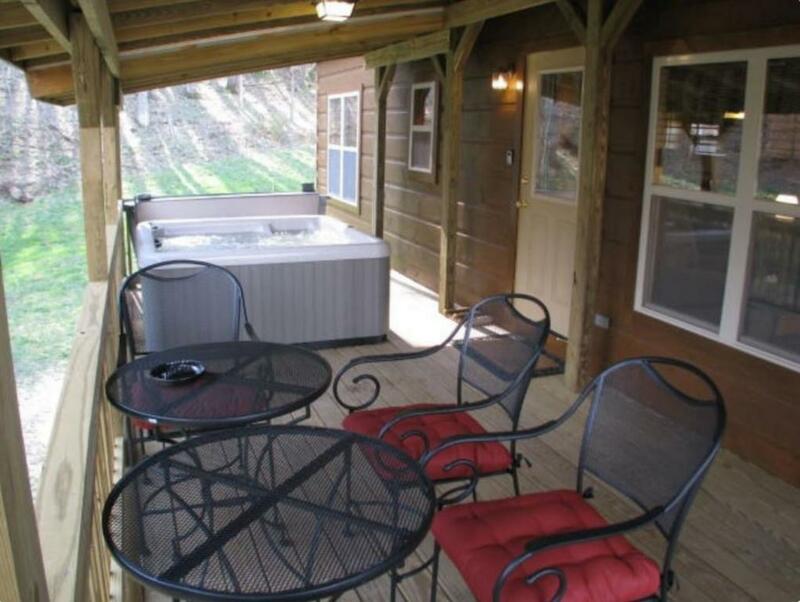 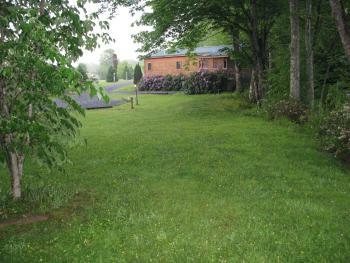 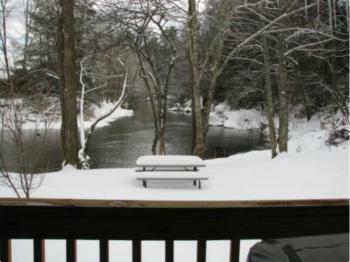 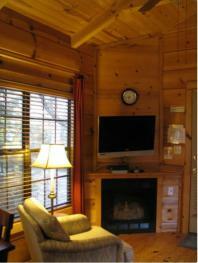 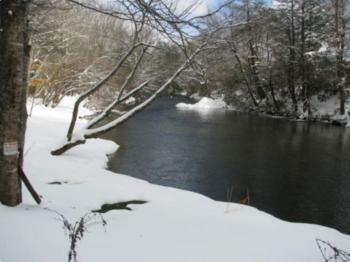 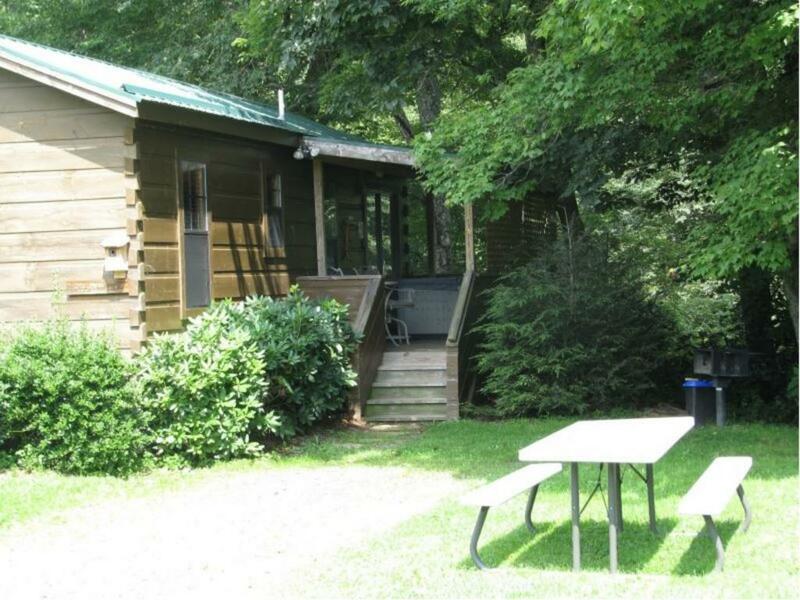 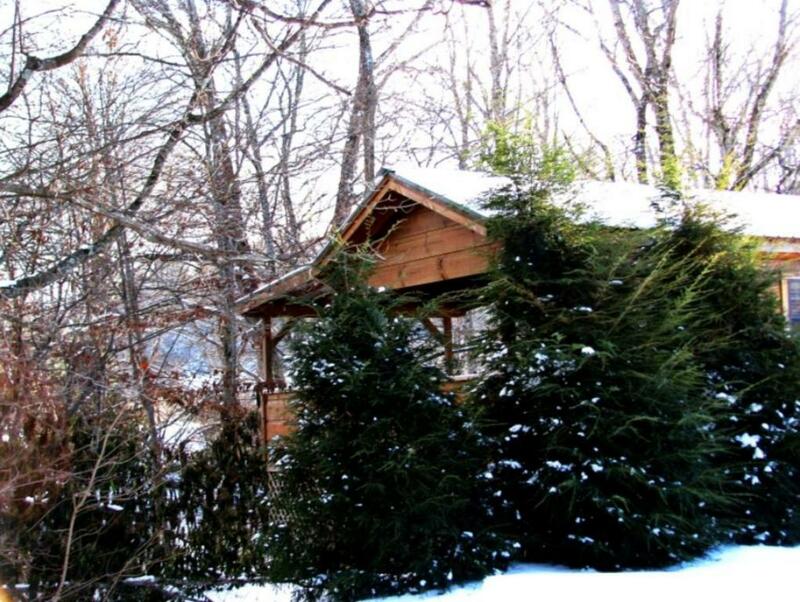 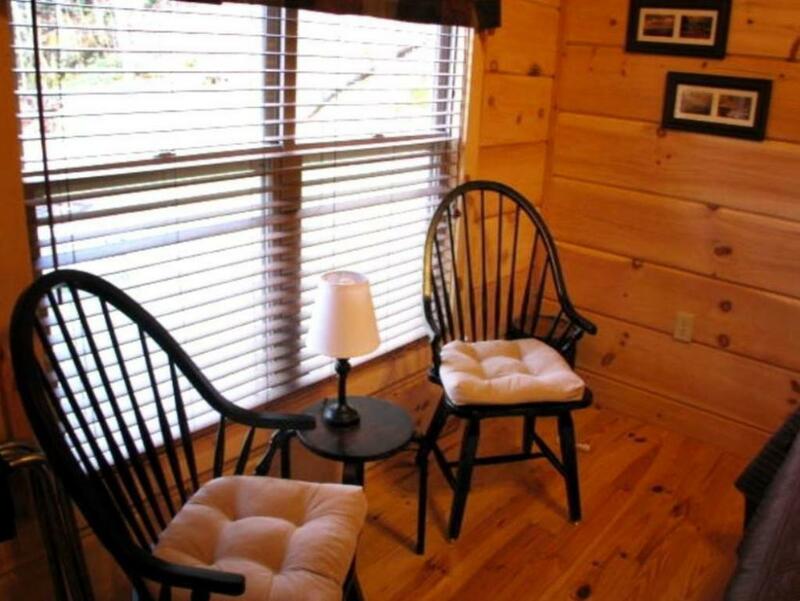 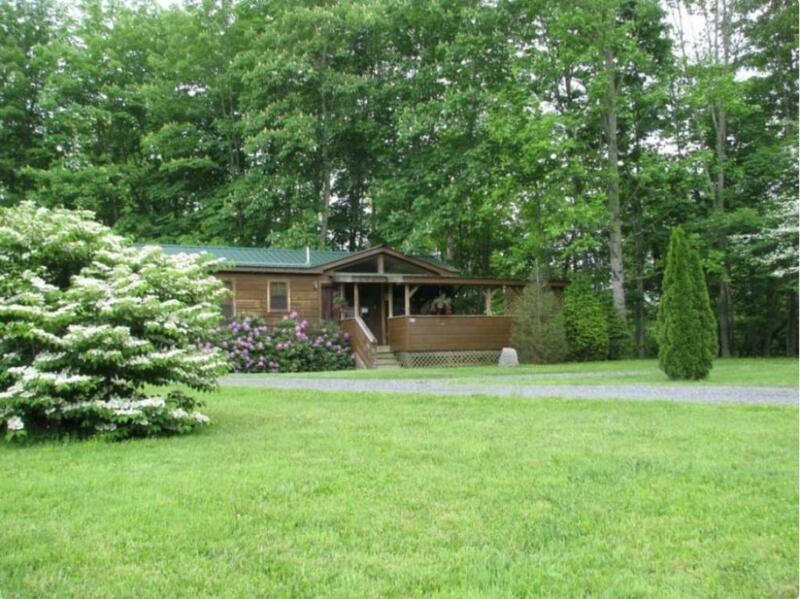 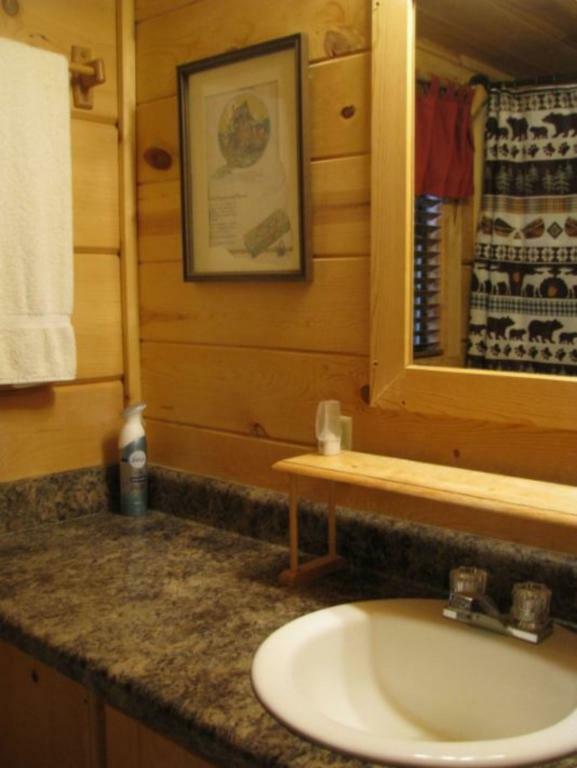 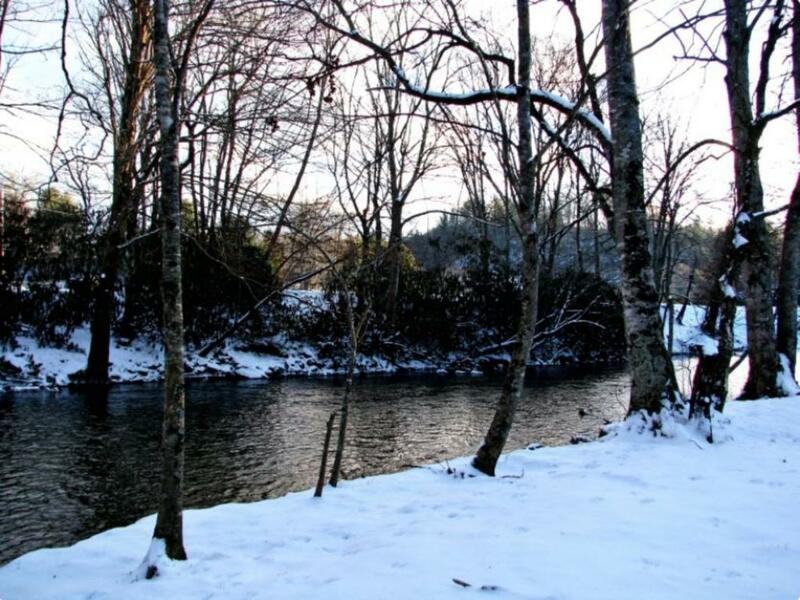 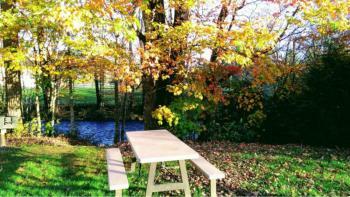 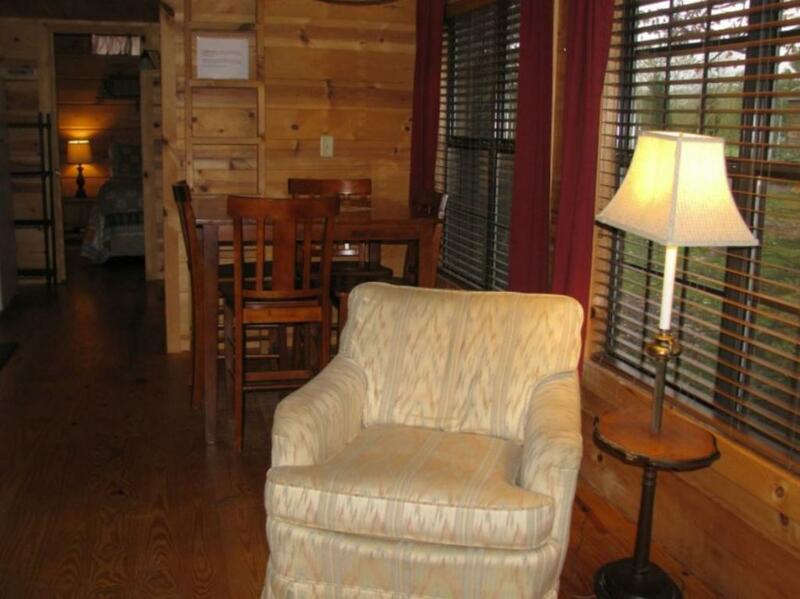 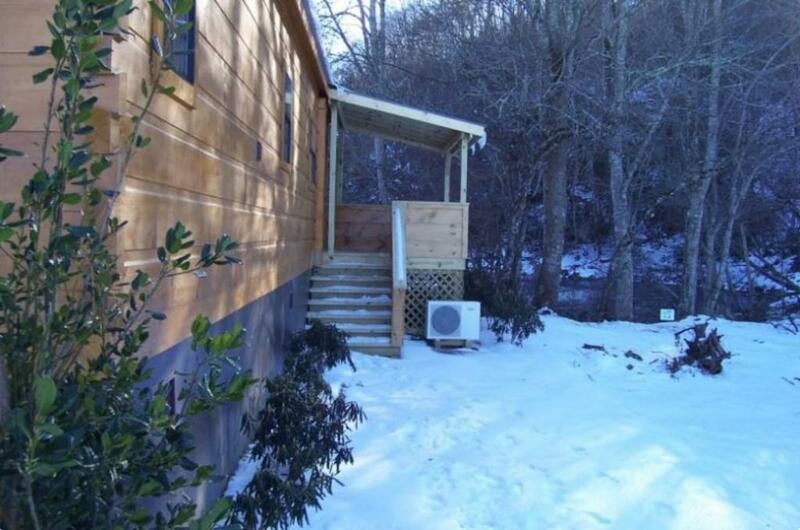 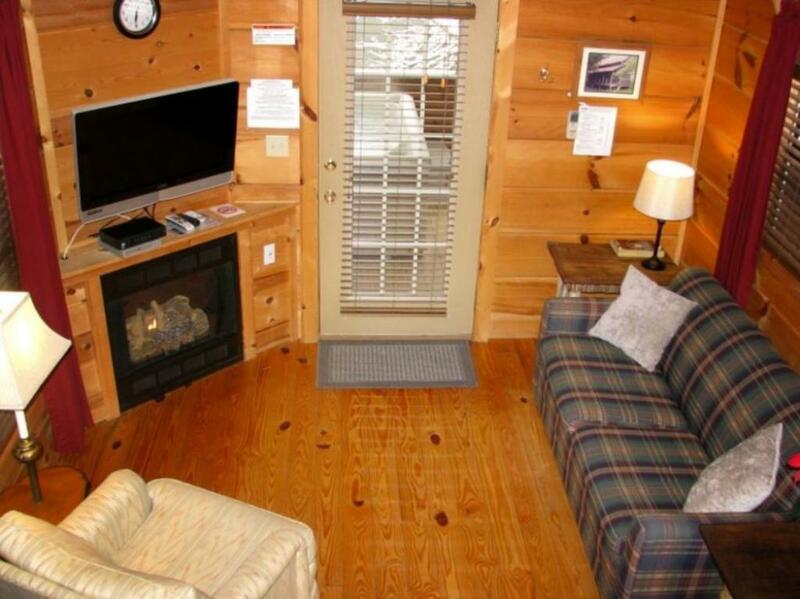 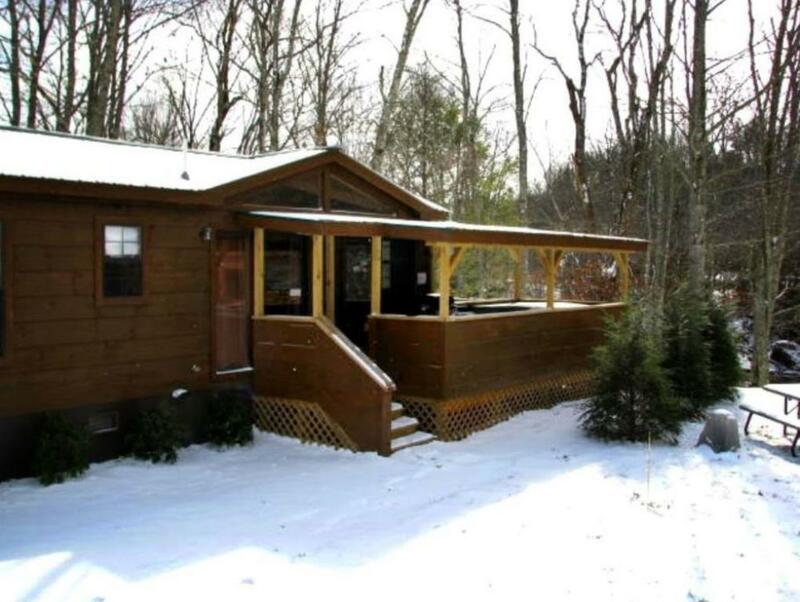 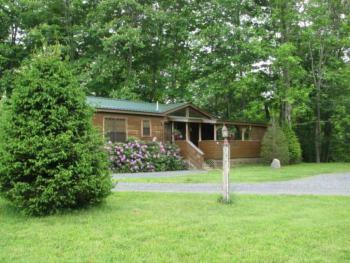 This cabin is only a few yards from the edge of the beautiful Linville River. 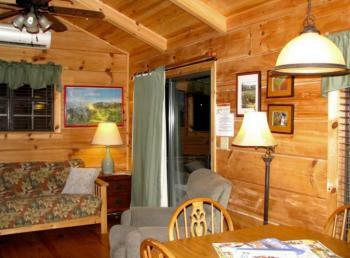 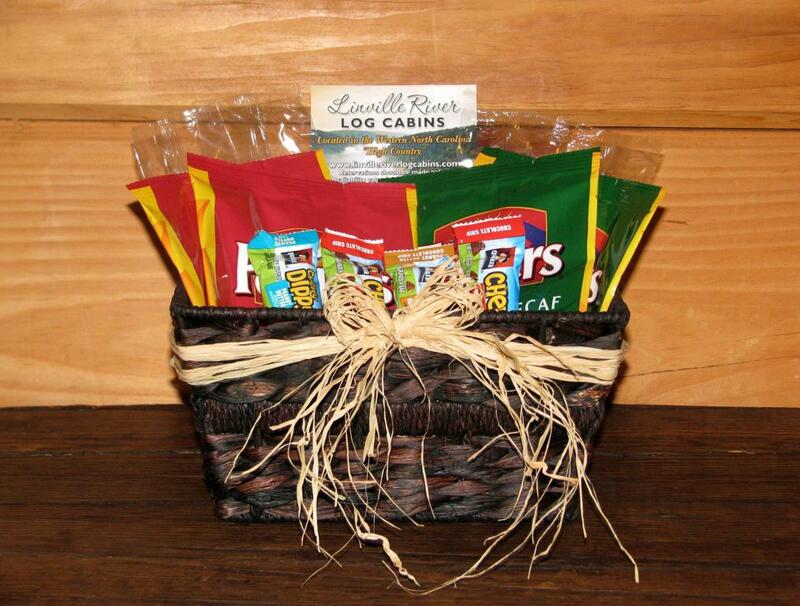 If you refer to our address and a map you will see that our cabins are almost centered in the Pisgah National Forest. 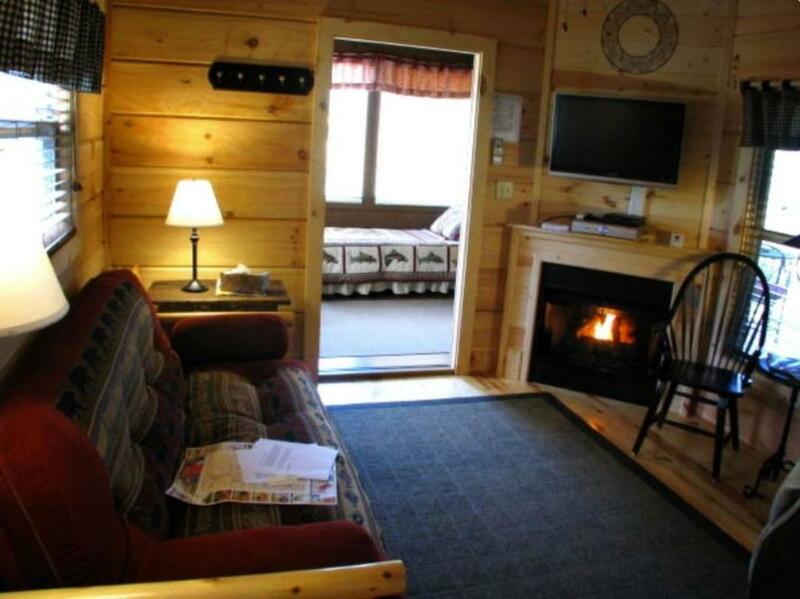 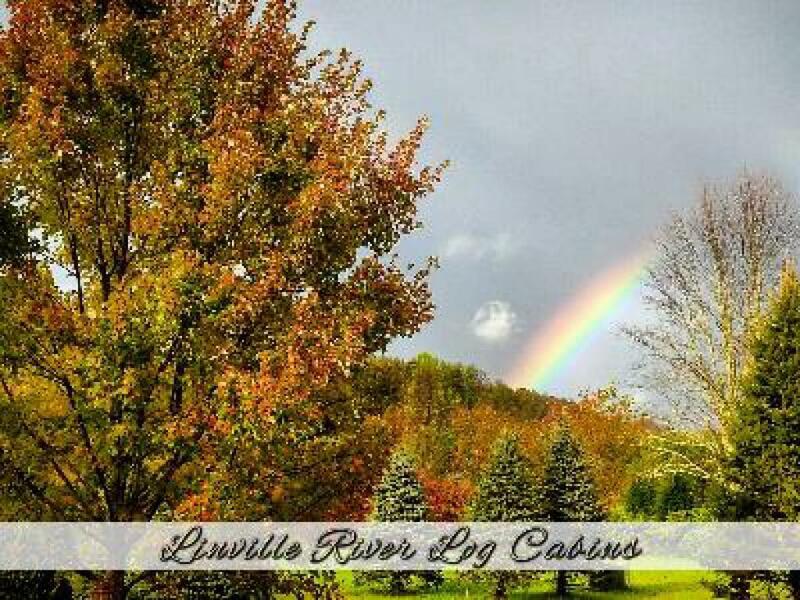 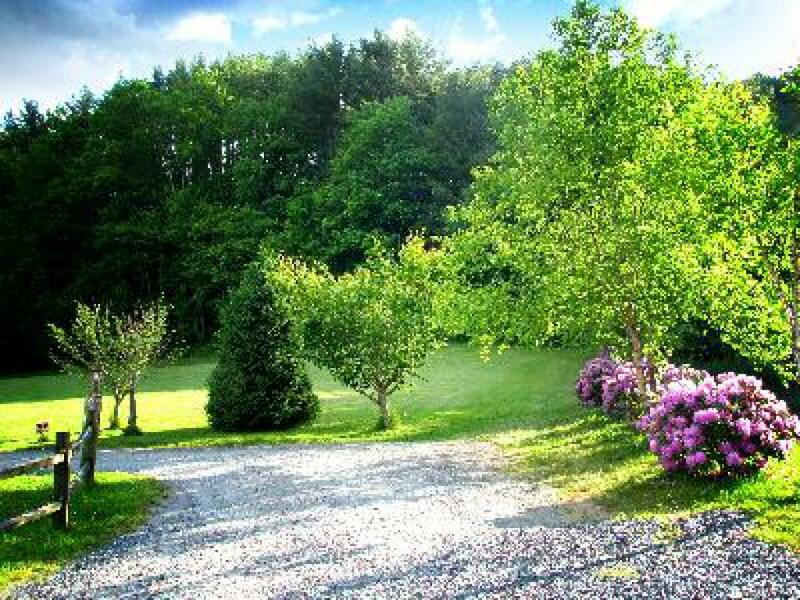 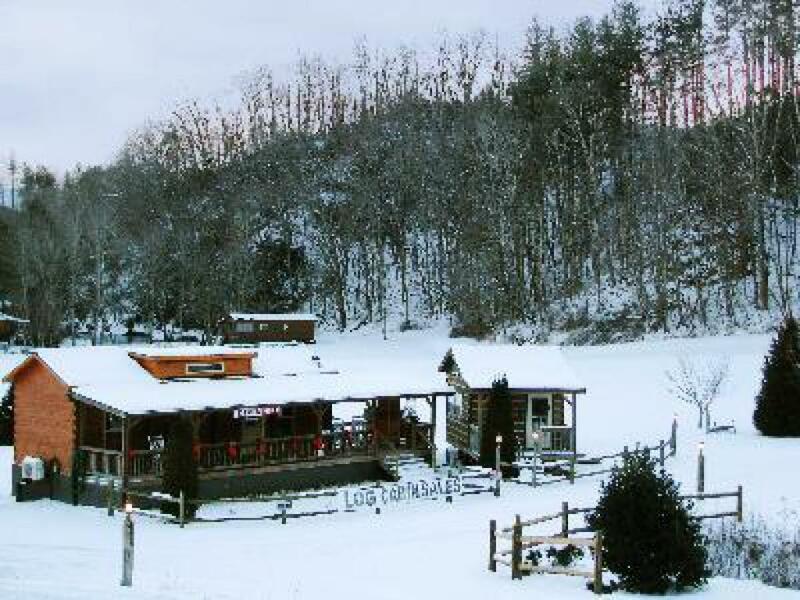 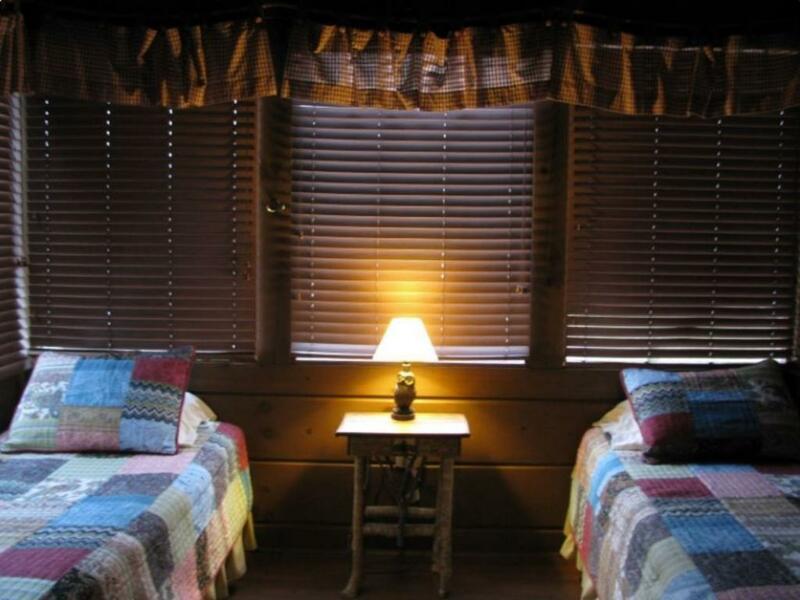 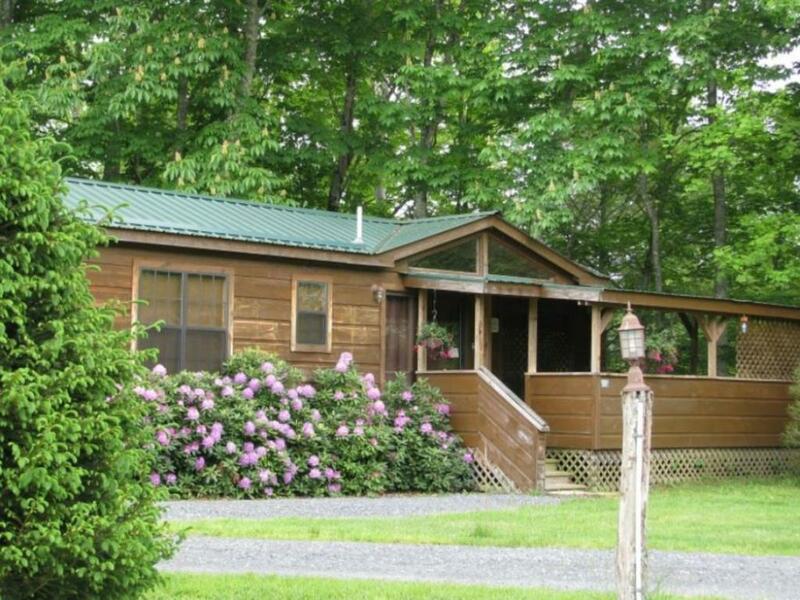 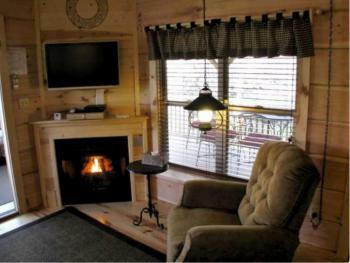 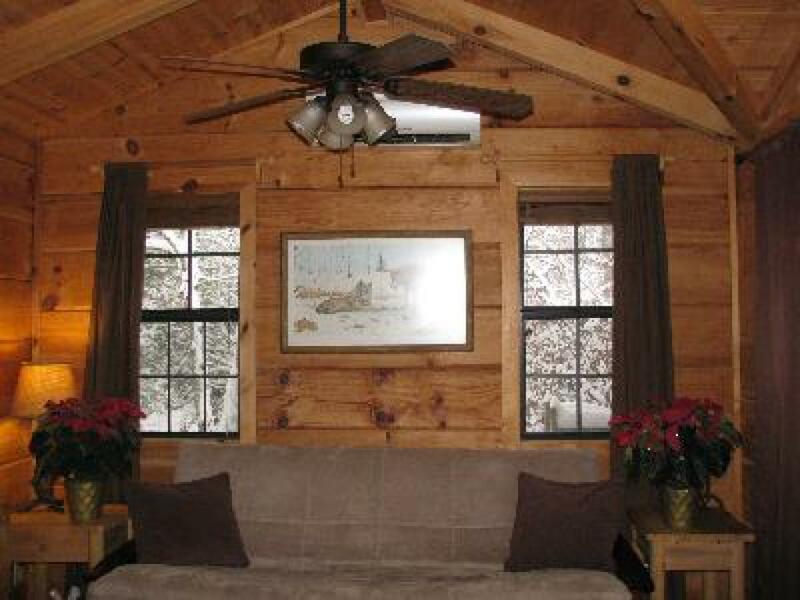 Our guests are able to enjoy "ALL" types of outdoor activities and the coziness of a real log cabin with all modern conveniences. 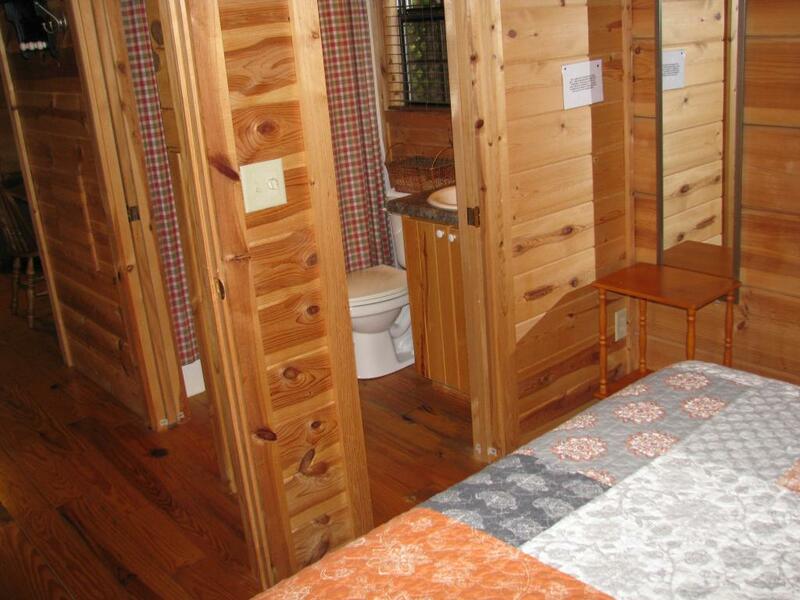 (please see amenities) Tourism is the #1 industry here in this area known as the "High Country" of western NC. 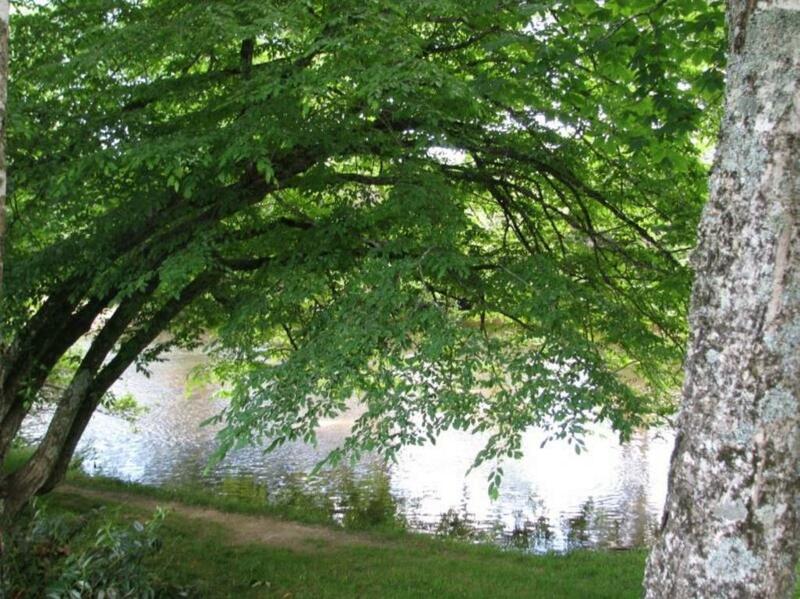 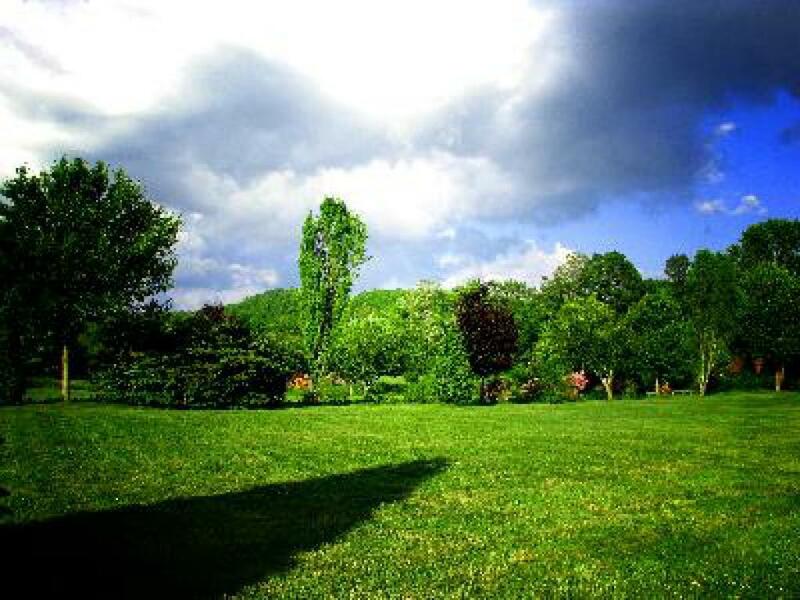 After you arrive you will see quickly that the extra few dollars per night was well worth it. 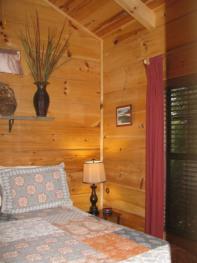 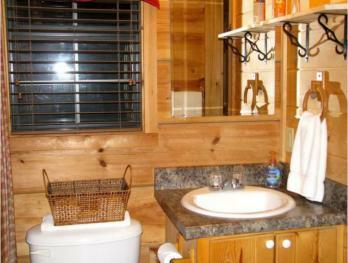 Our "River's Edge" cabin is one of five cabins that sleep four to six. 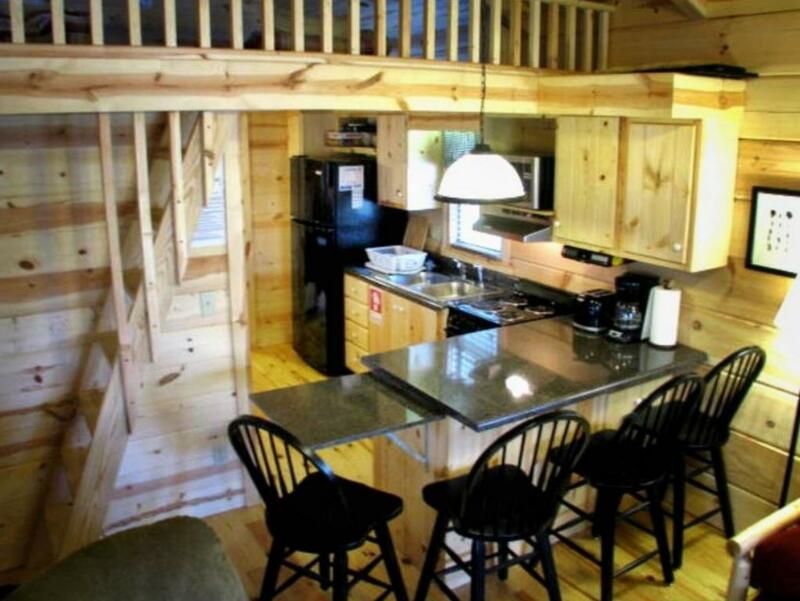 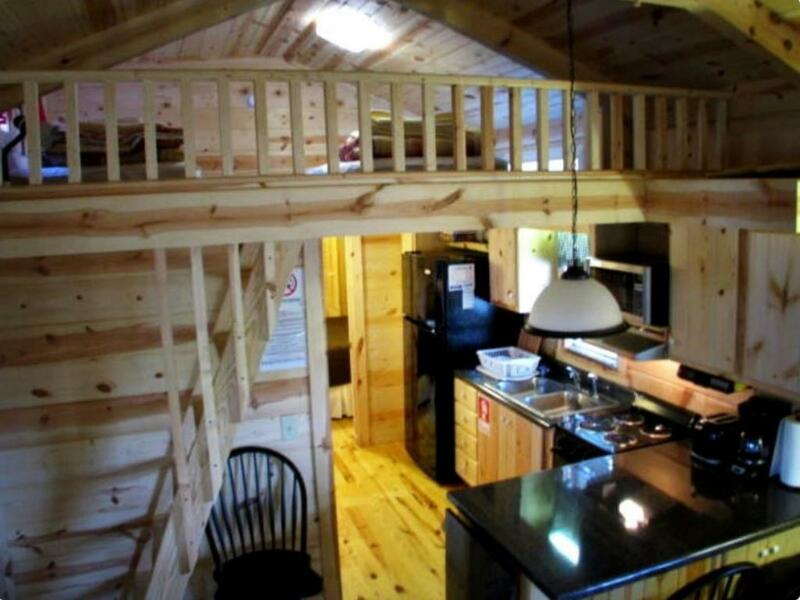 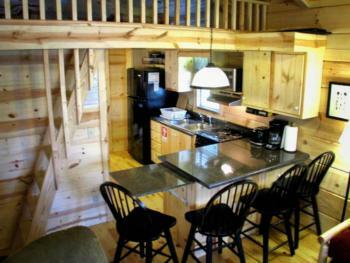 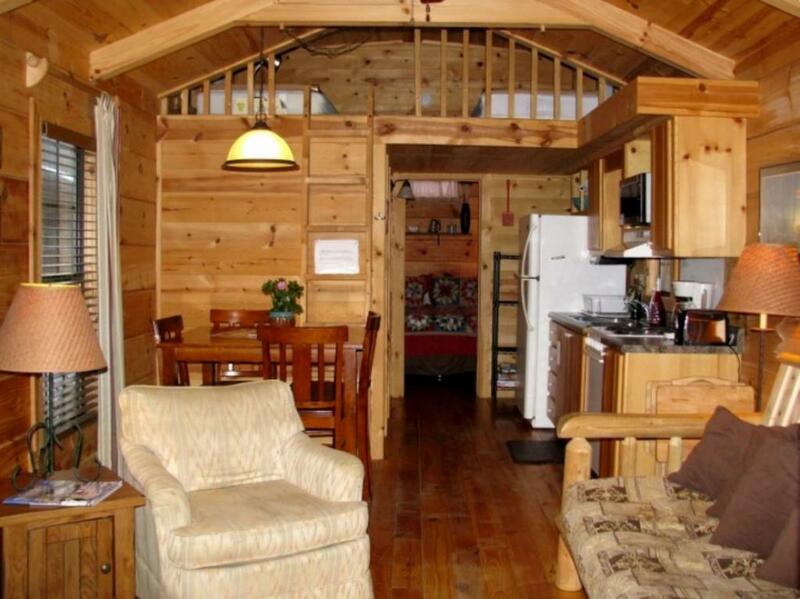 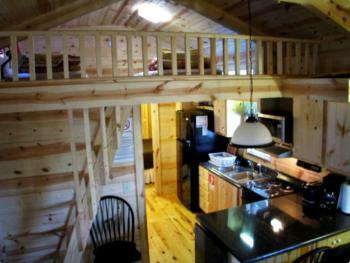 It is a one bedroom cabin that sleeps that sleeps six (6). The bedroom has a comfortable queen size bed. There are twin beds in the sleeping loft and there is a full size bed using the futon sleeper sofa. This cabin is only a few yards from the edge of the beautiful Linville River. 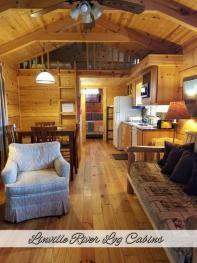 If you refer to our address and a map you will see that our cabins are almost centered in the Pisgah National Forest. Our guests are able to enjoy "ALL" types of outdoor activities and the coziness of a real log cabin with all modern conveniences. (please see amenities) Tourism is the #1 industry here in this area known as the "High Country" of western NC. 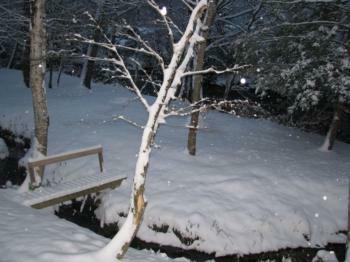 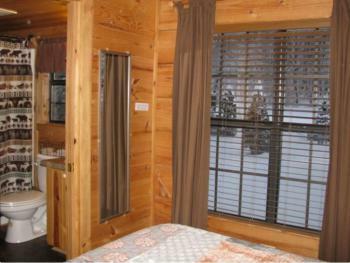 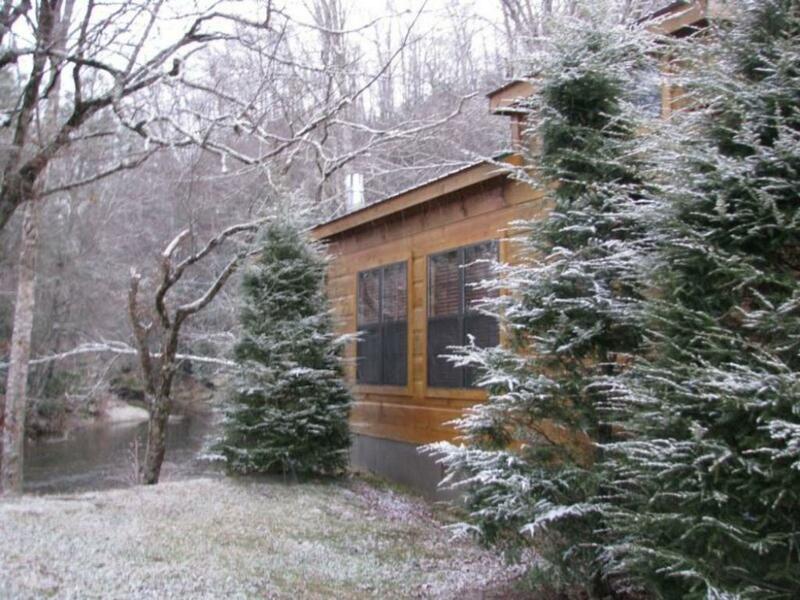 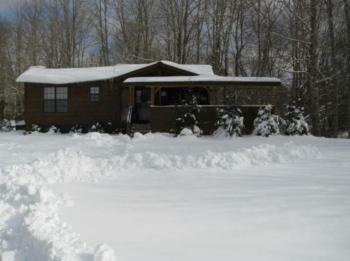 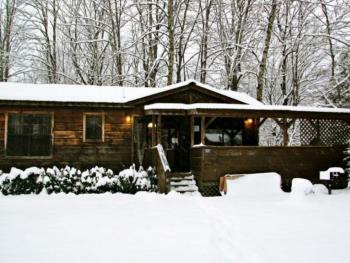 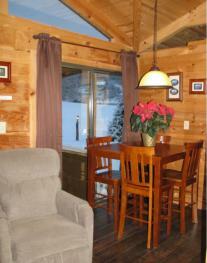 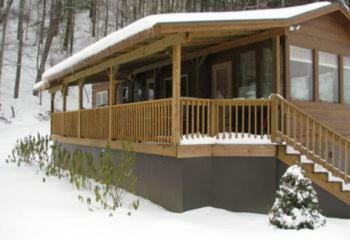 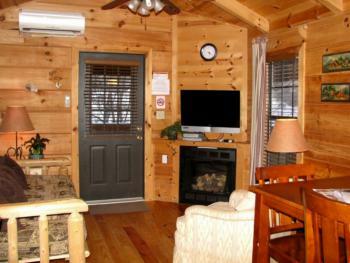 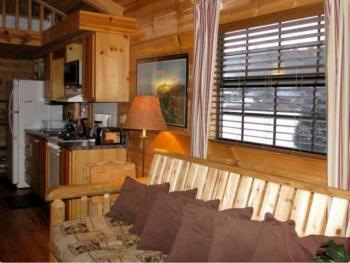 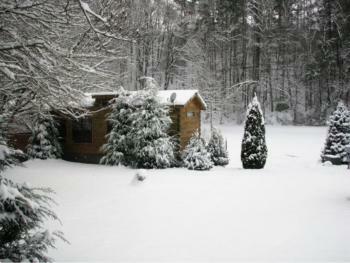 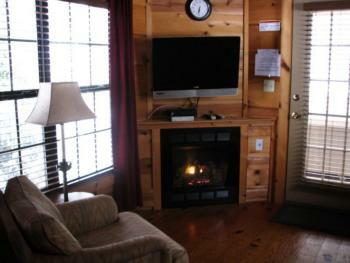 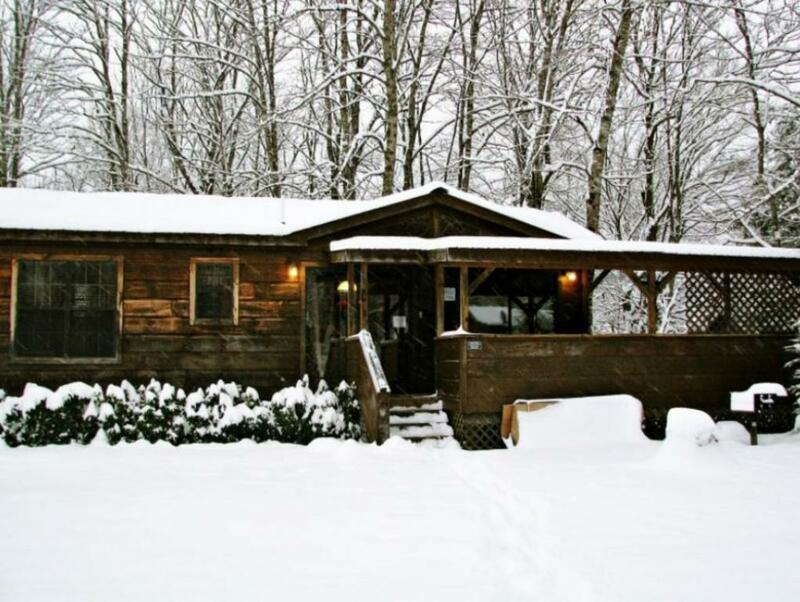 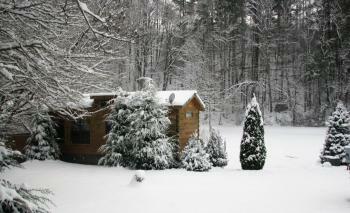 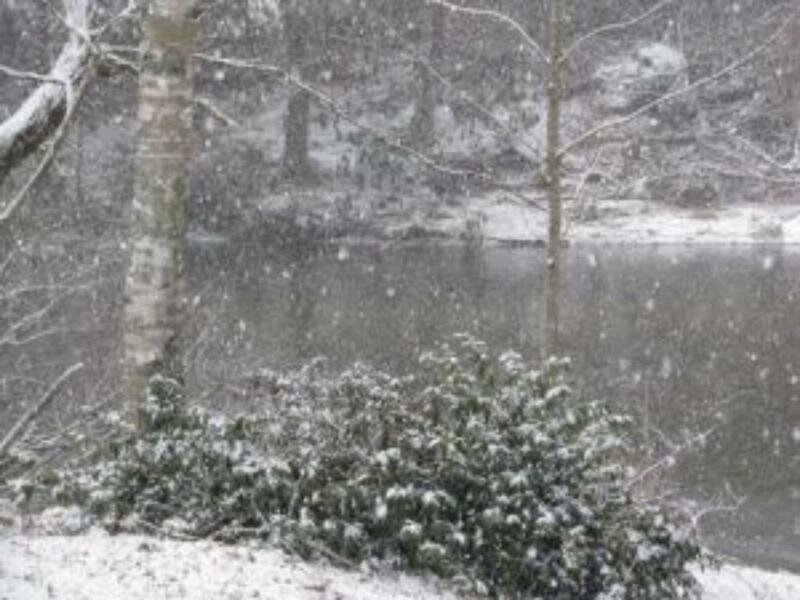 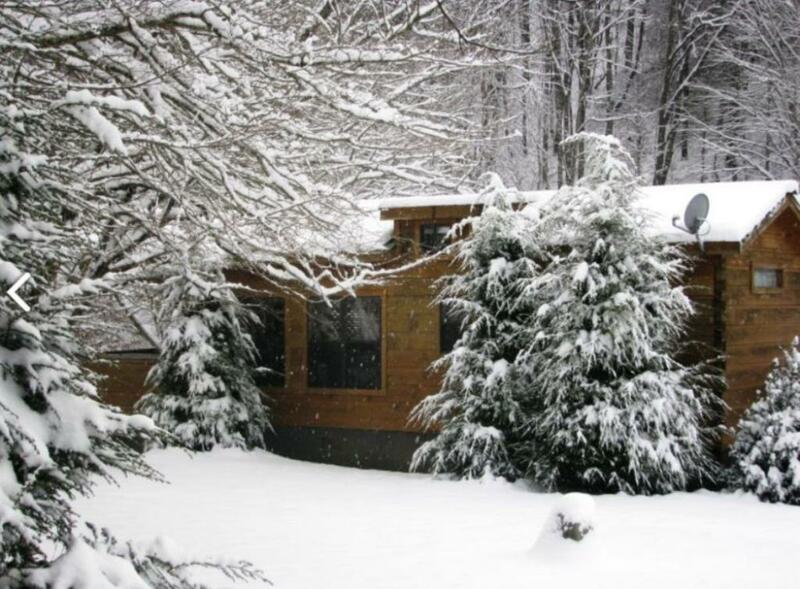 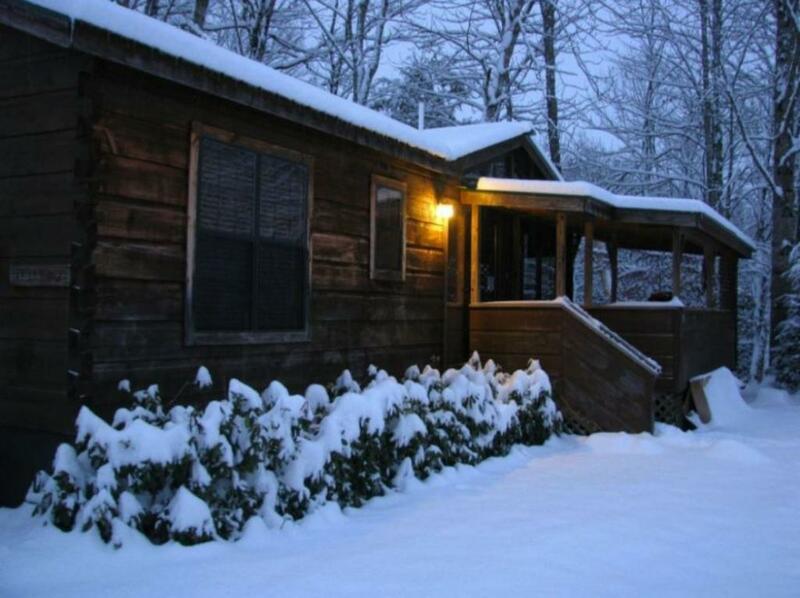 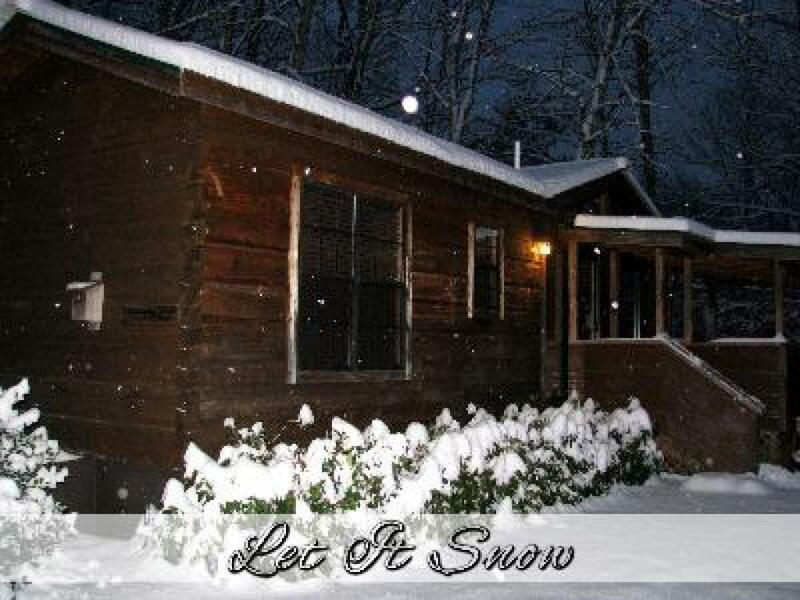 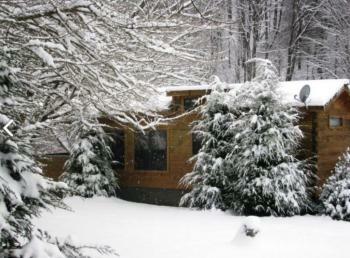 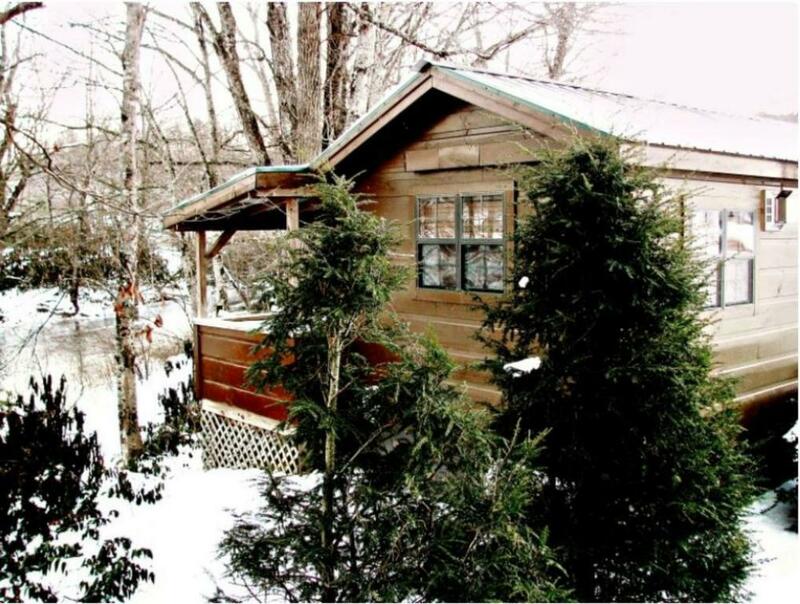 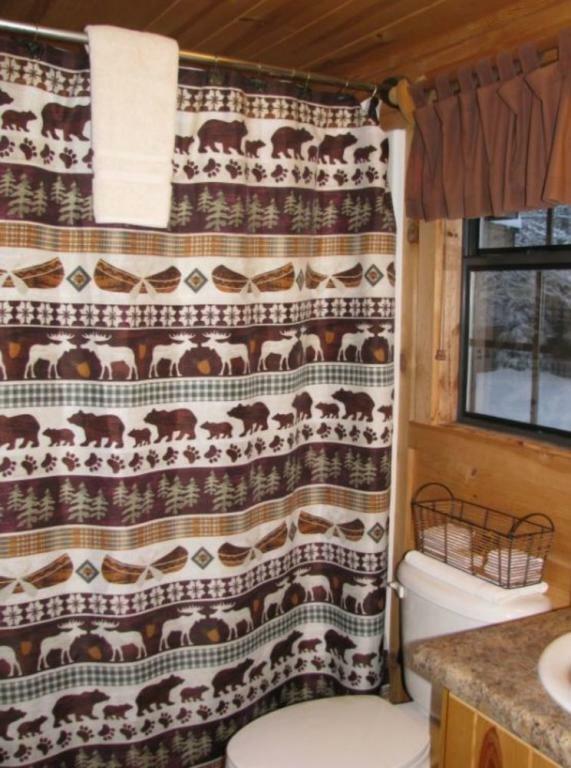 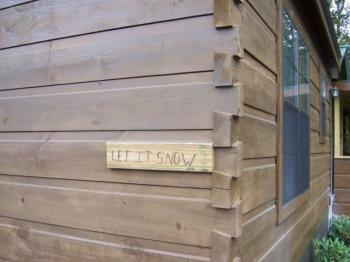 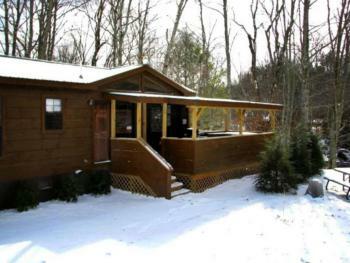 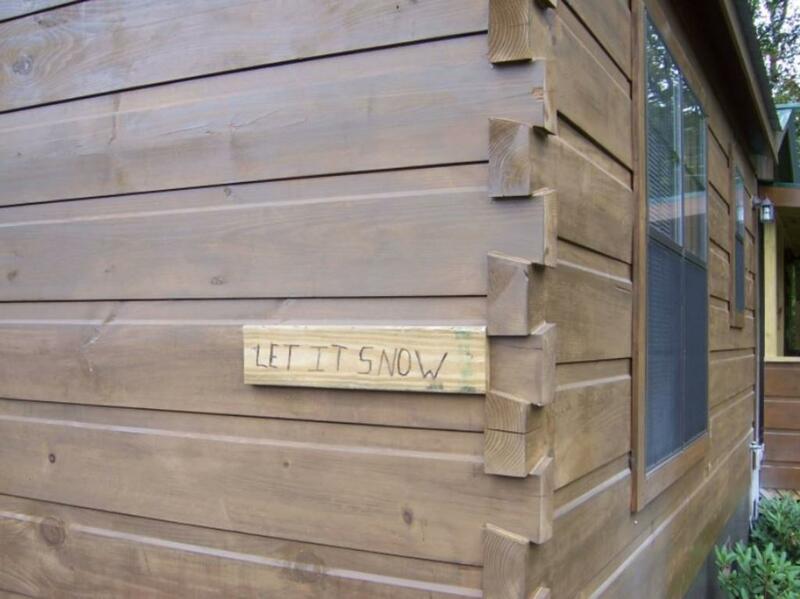 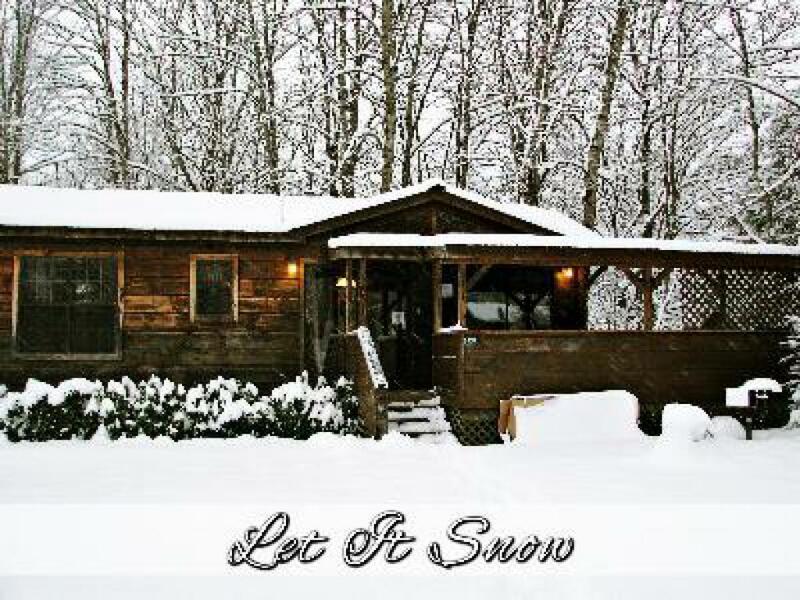 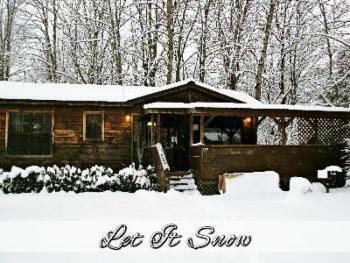 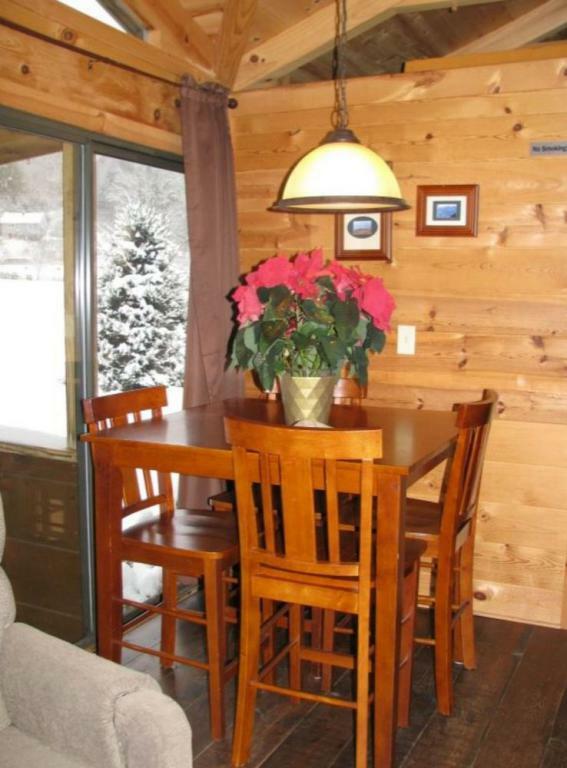 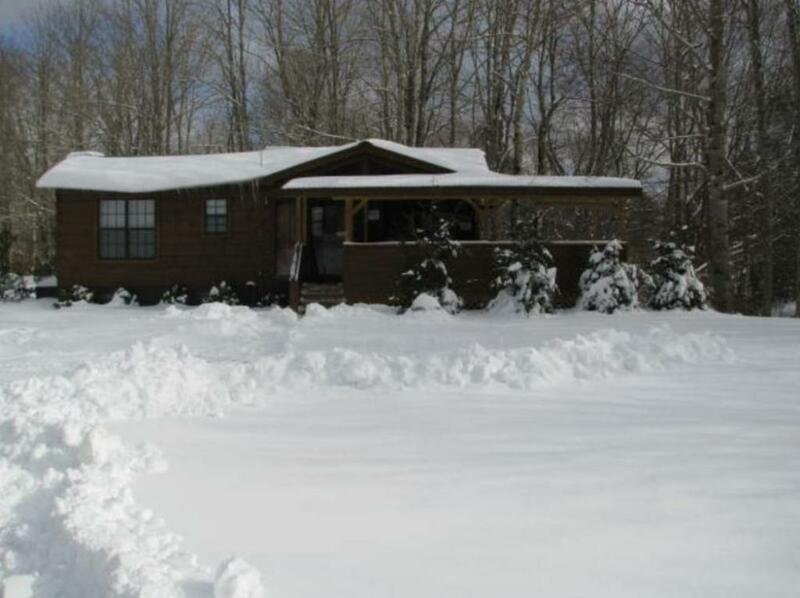 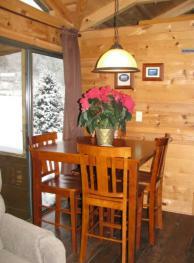 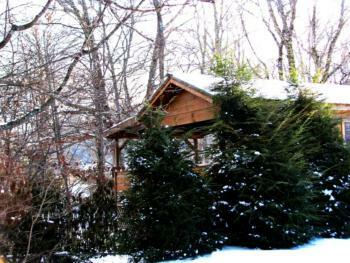 Our "Let it Snow" cabin is one of two cabins that sleep four. The bedroom has a comfortable queen size bed with private entrance to the bath room. 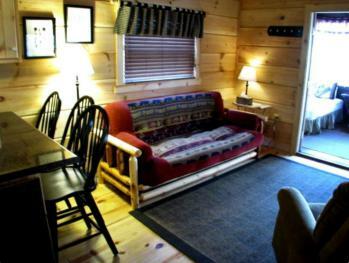 There is a futon sleeper sofa that folds out to a full size bed. 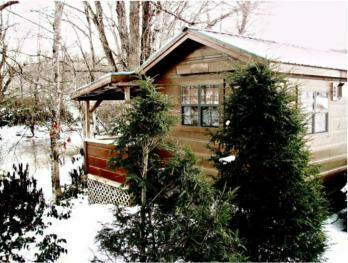 This cabin is only a few yards from the edge of the beautiful Linville River. 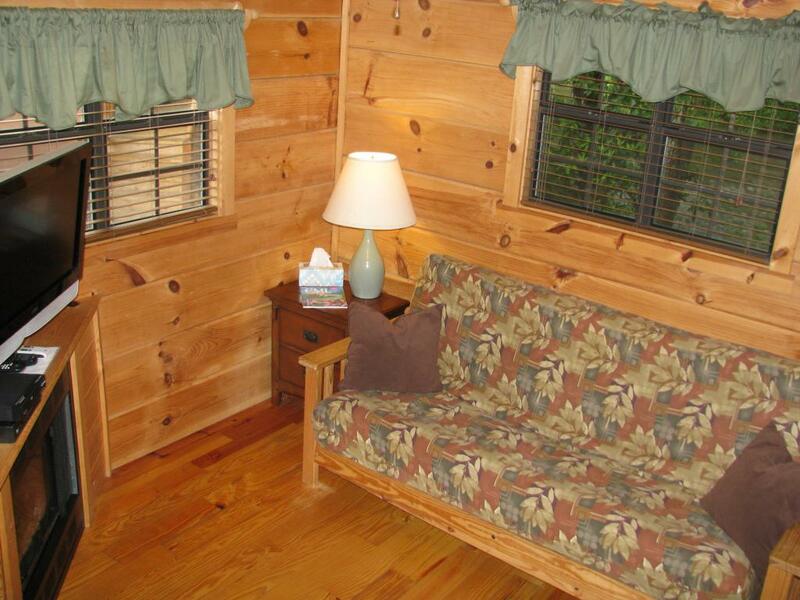 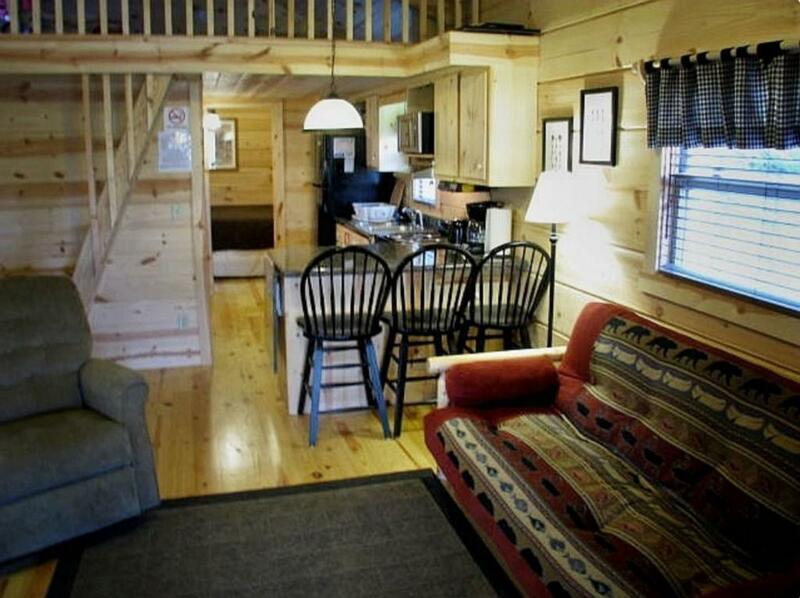 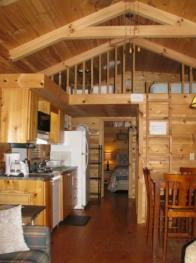 If you refer to our address and a map you will see that our cabins are almost centered in the Pisgah National Forest. 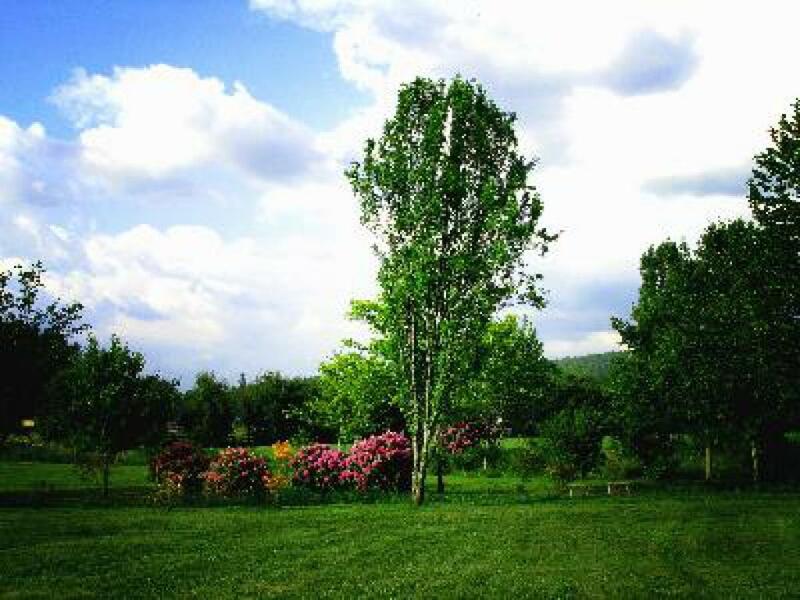 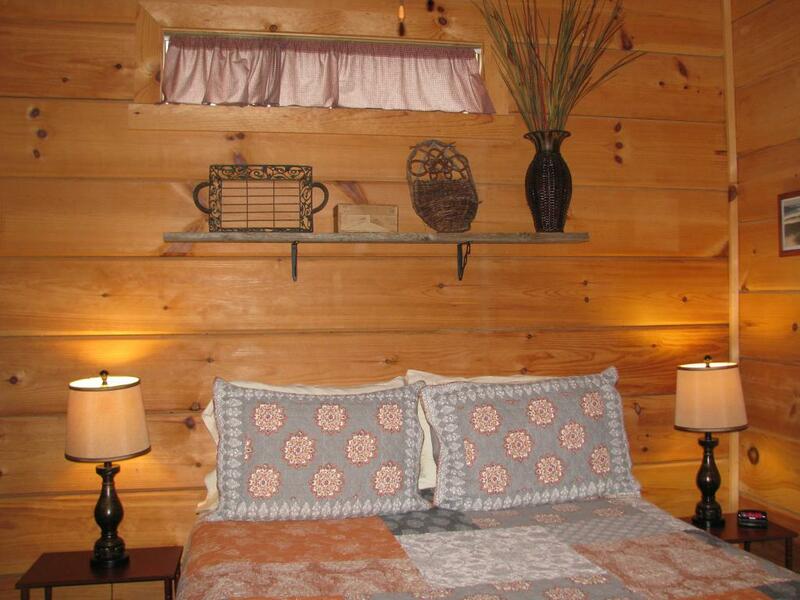 Our guests are able to enjoy "ALL" types of outdoor activities and the coziness of a real log cabin with all modern conveniences. 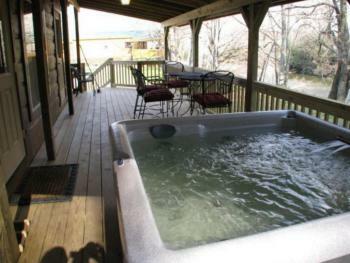 (please see amenities) Tourism is the #1 industry here in this area known as the "High Country" of western NC. 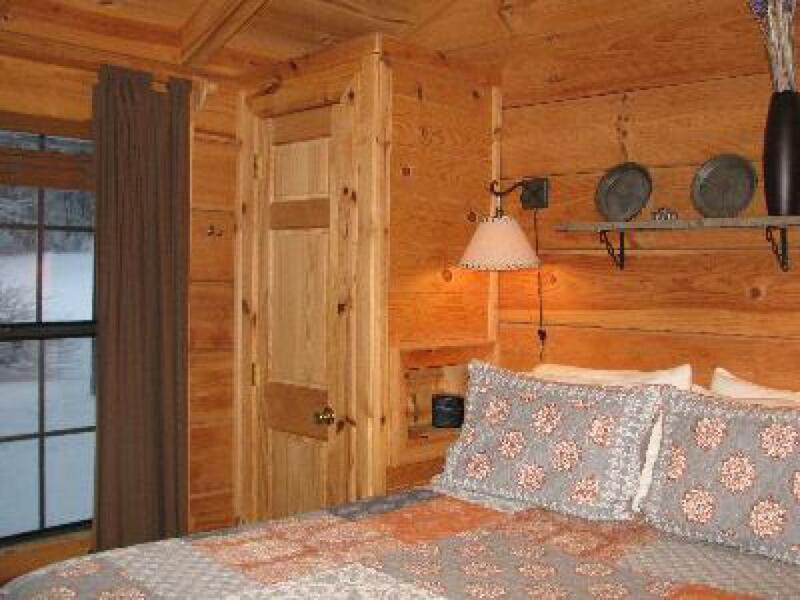 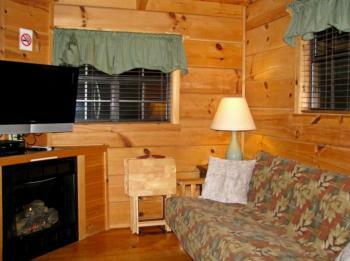 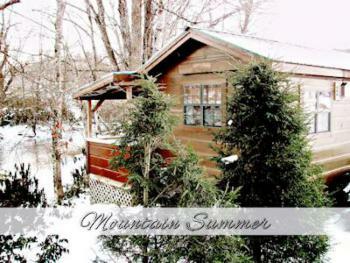 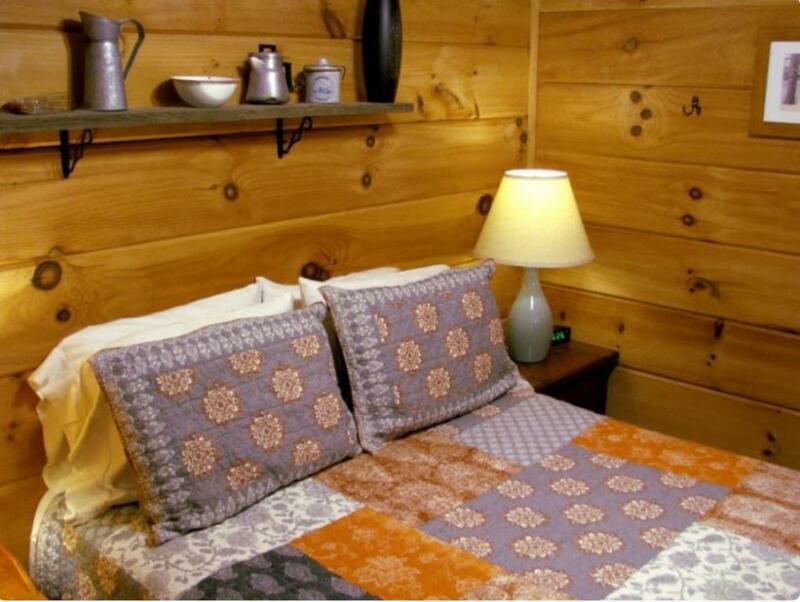 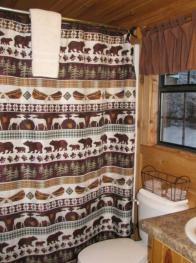 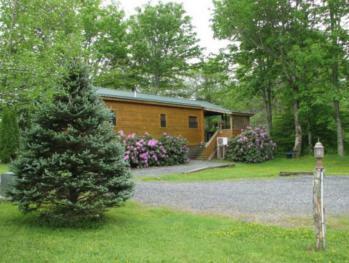 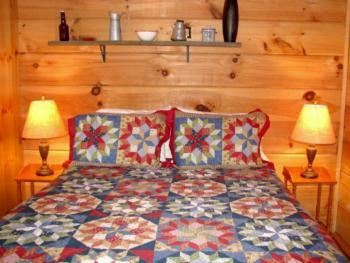 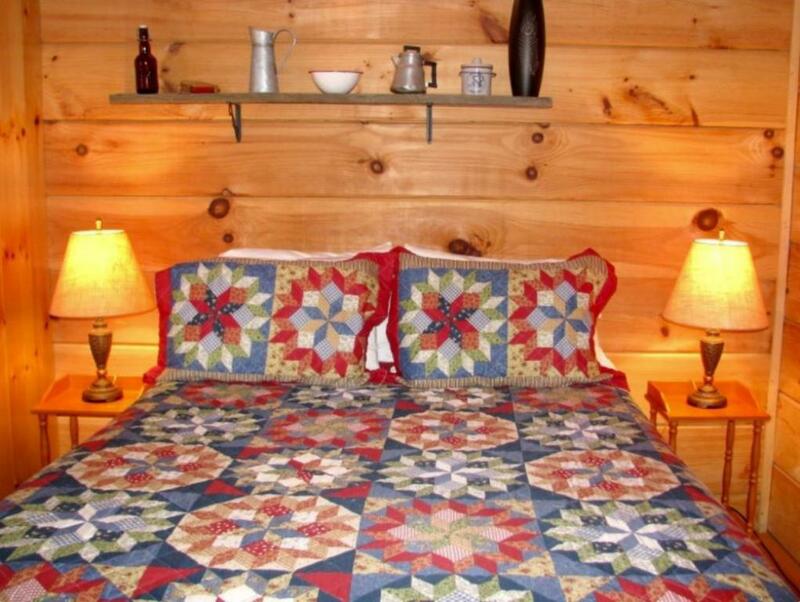 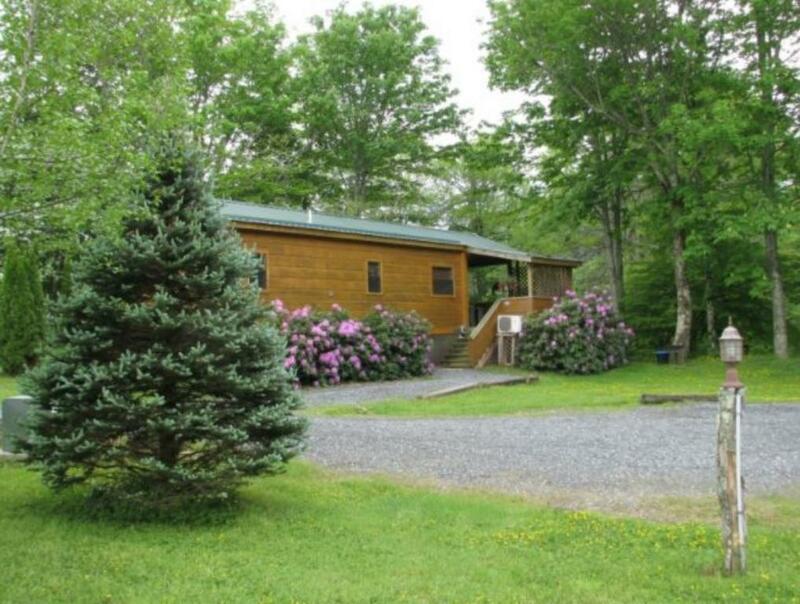 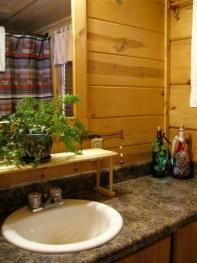 Our "Mountain Summer" cabin is one of two cabins that sleep four. 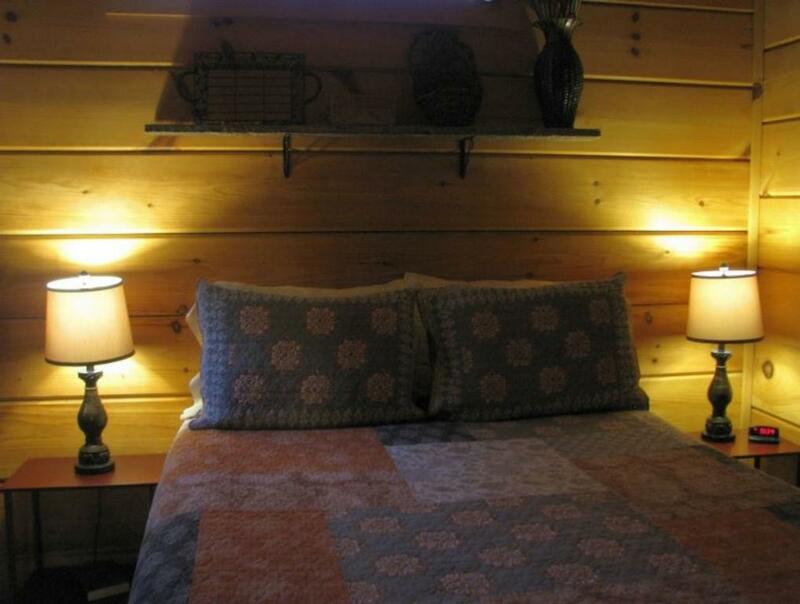 The bedroom has a comfortable queen size bed. The futon sleeper sofa folds out to a full size bed. 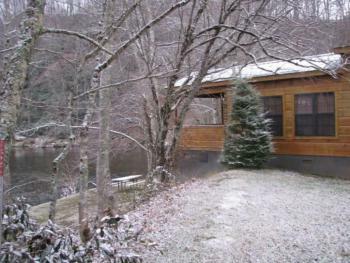 This cabin is only a few yards from the edge of the beautiful Linville River. 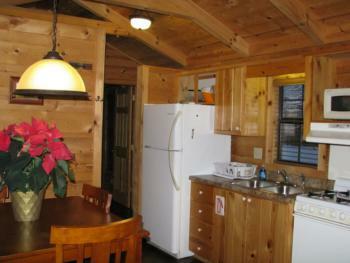 If you refer to our address and a map you will see that our cabins are almost centered in the Pisgah National Forest. 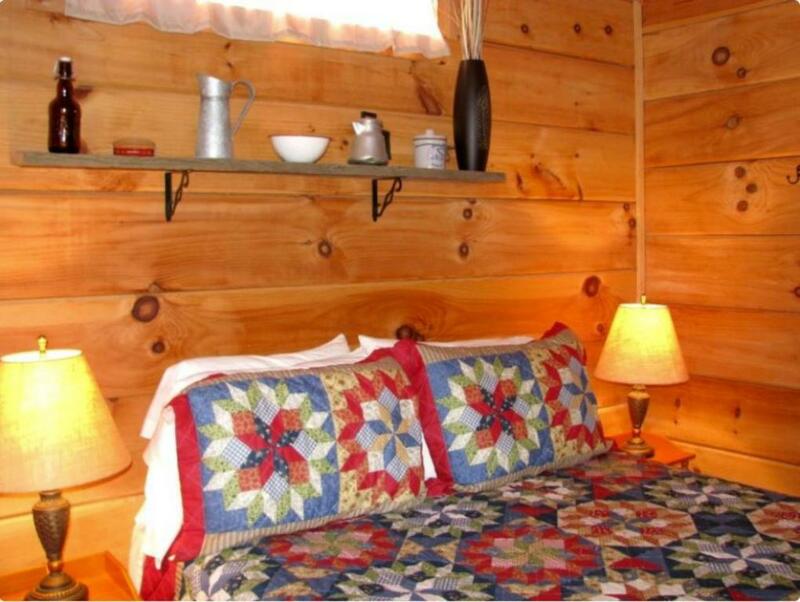 Our guests are able to enjoy "ALL" types of outdoor activities and the coziness of a real log cabin with all modern conveniences. (please see amenities) Tourism is the #1 industry in this area known as the "High Country" of western NC. Our "Mountain Summer" cabin is one of two riverside cabins that sleep four. The bedroom has a comfortable queen size bed. The futon sleeper sofa folds out to a full size bed. 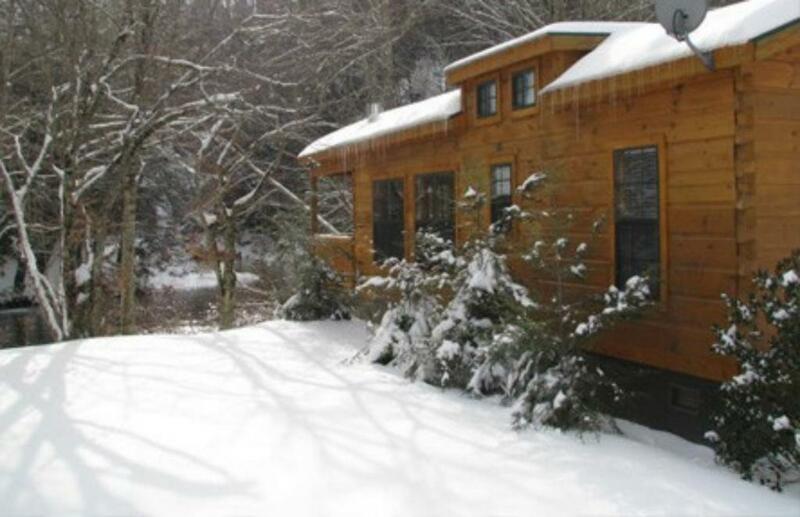 This cabin is only a few yards from the edge of the beautiful Linville River. If you refer to our address and a map you will see that our cabins are almost centered in the Pisgah National Forest. Our guests are able to enjoy "ALL" types of outdoor activities and the coziness of a real log cabin with all modern conveniences. 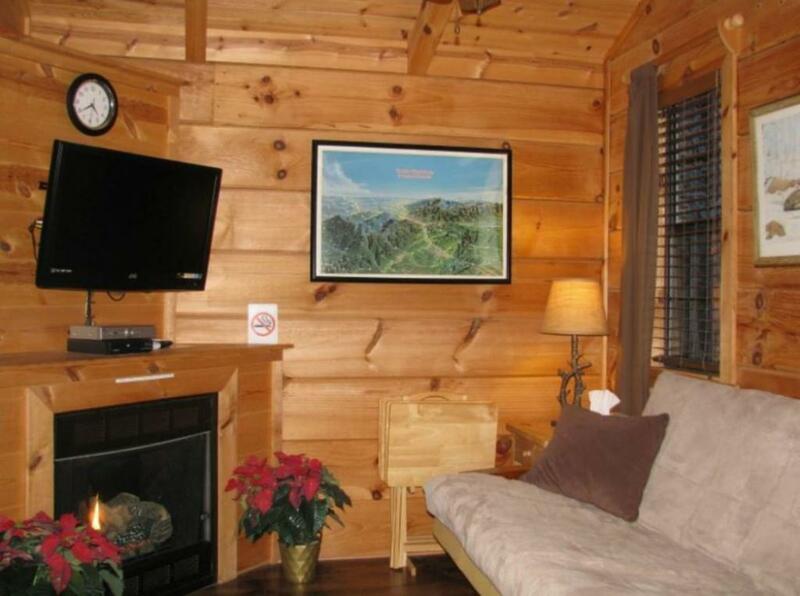 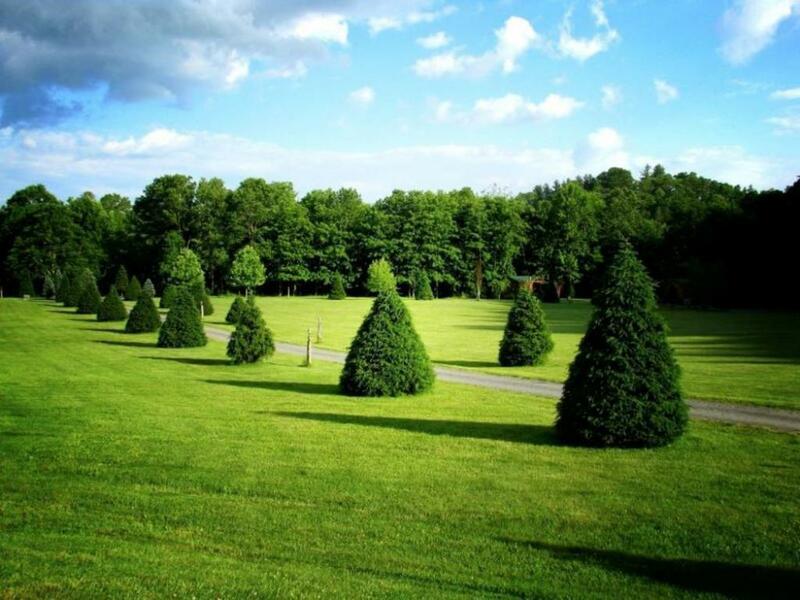 (please see amenities) Tourism is the #1 industry in this area, which is known as the "High Country" of western NC. Each cabin has the same amenities which include: Wireless WiFi, all cabins are riverside only yards away from the beautiful Linville River. 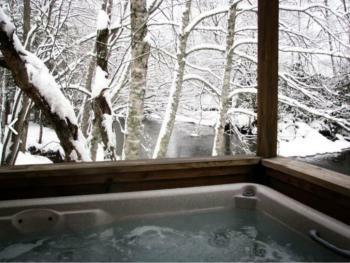 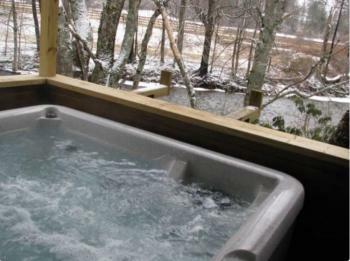 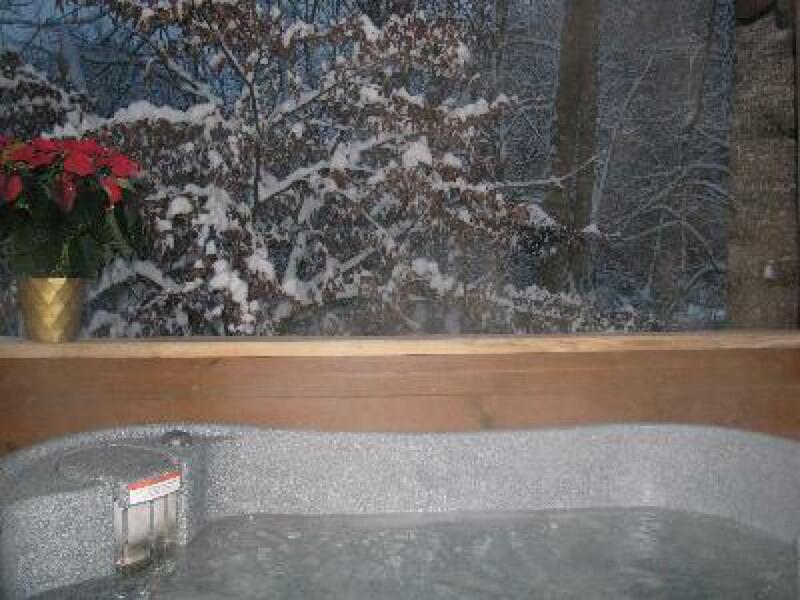 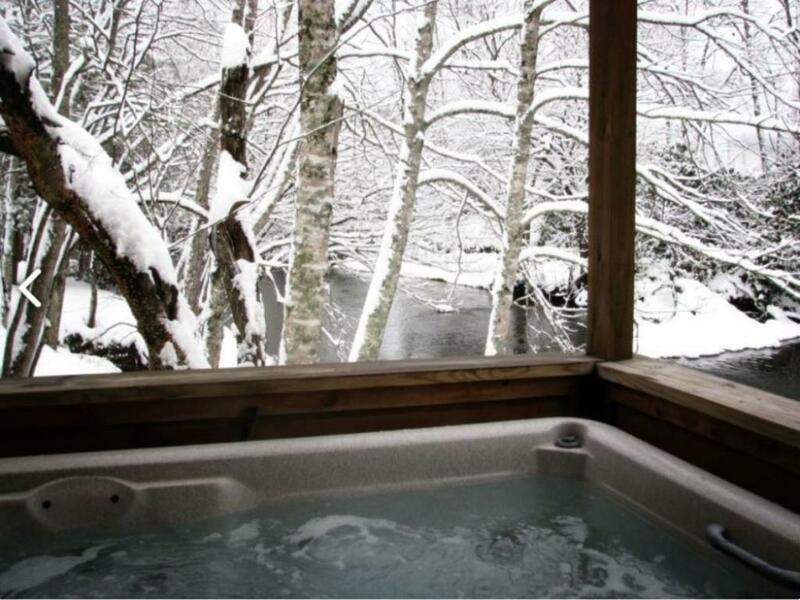 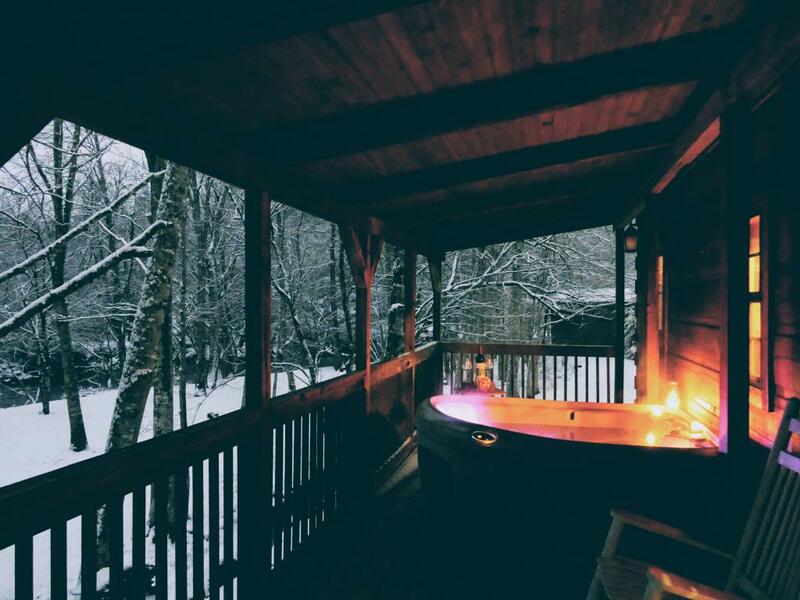 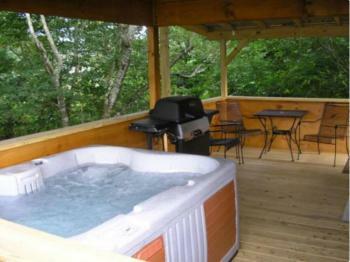 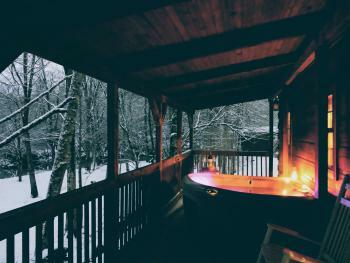 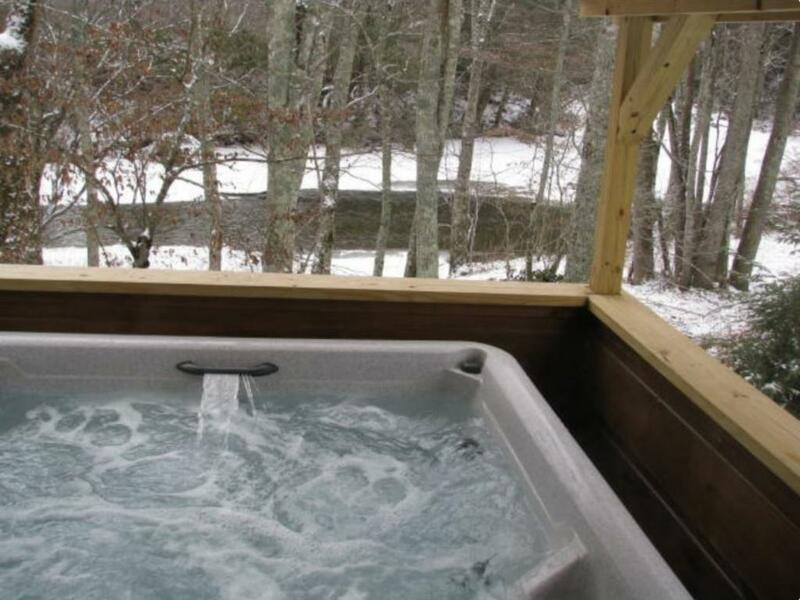 Each cabin has its own private hot tub on the deck. Additionally, each cabin has a fire-pit. 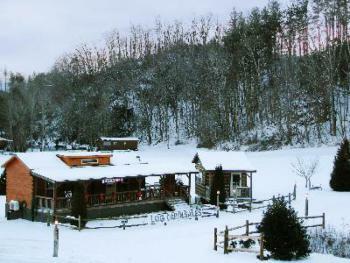 Fire wood can be purchased at almost any store. 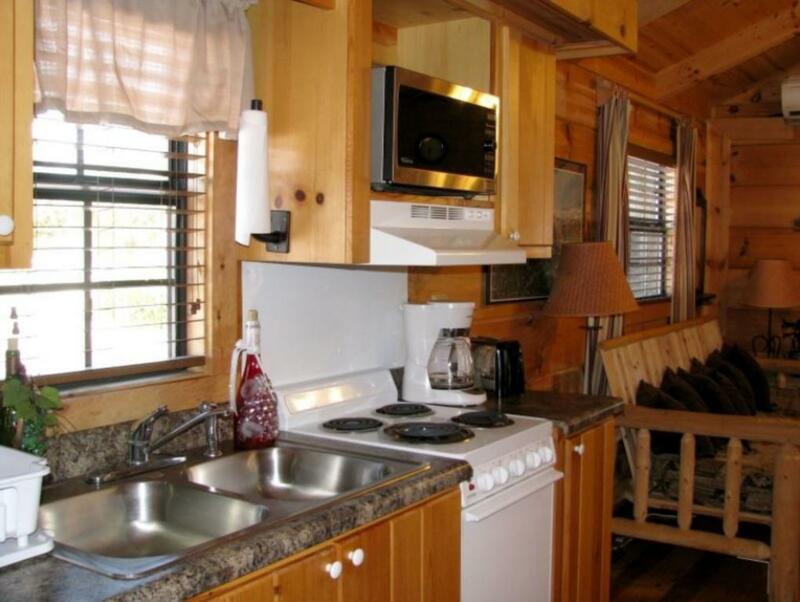 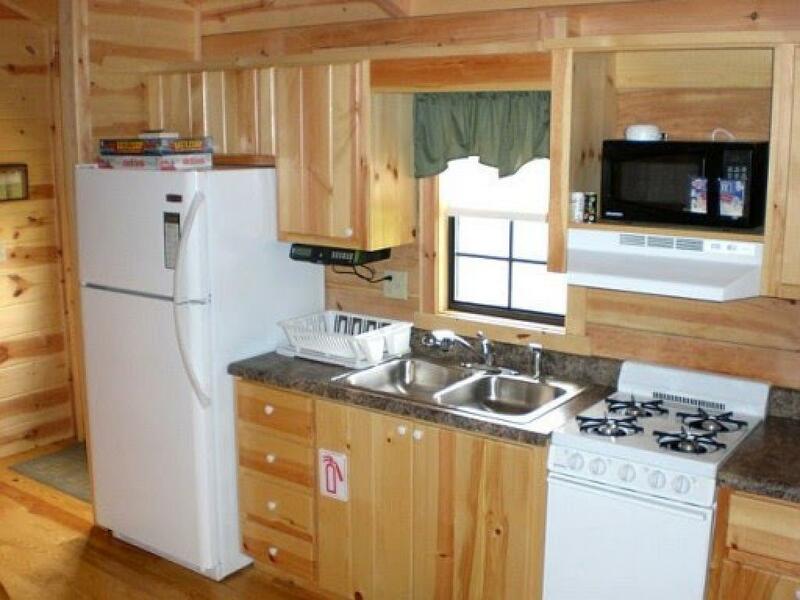 All cabins have cast iron charcoal grills with a picnic tables. 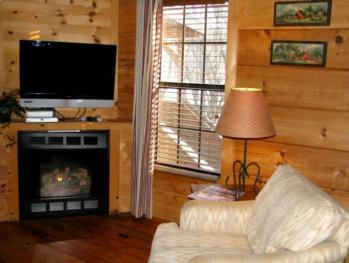 Full kitchens and flat screen TV with gas log fireplaces. 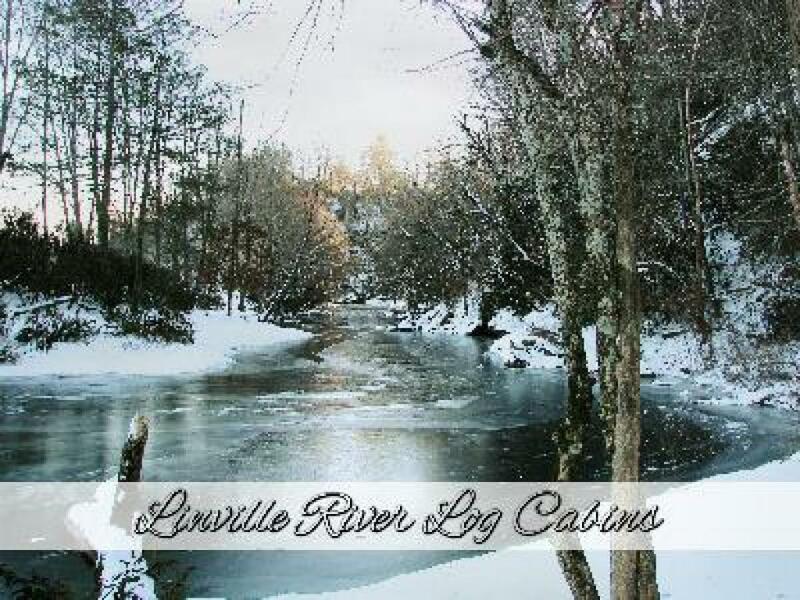 NOTE: Linville Falls Hwy IS US HWY 221. 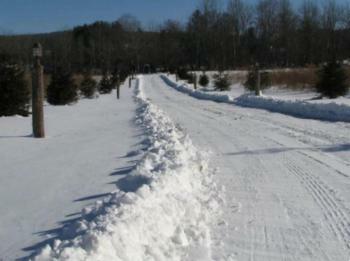 The road that enters the property from US HWY 221 is Ginger Circle. 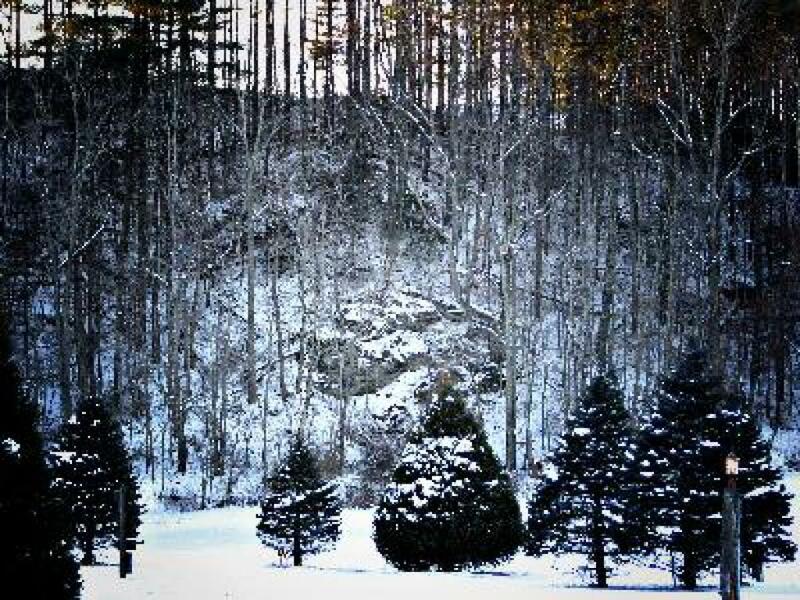 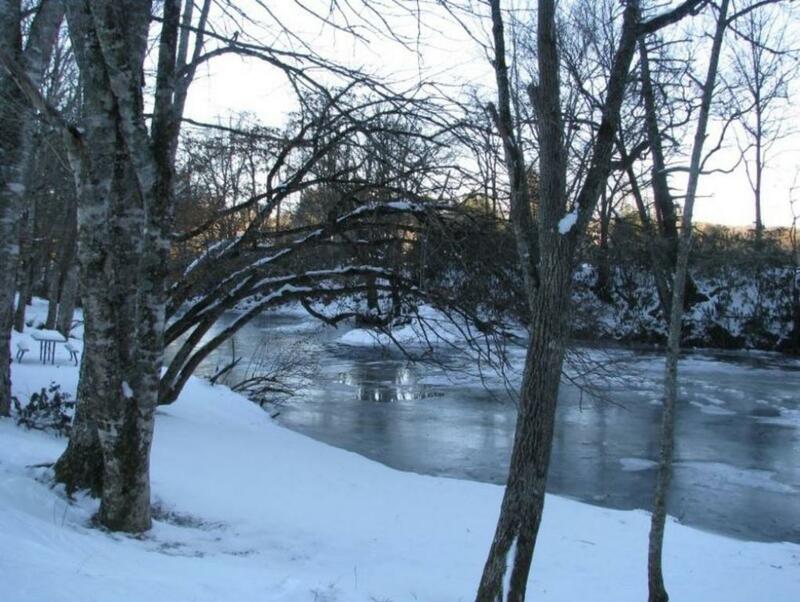 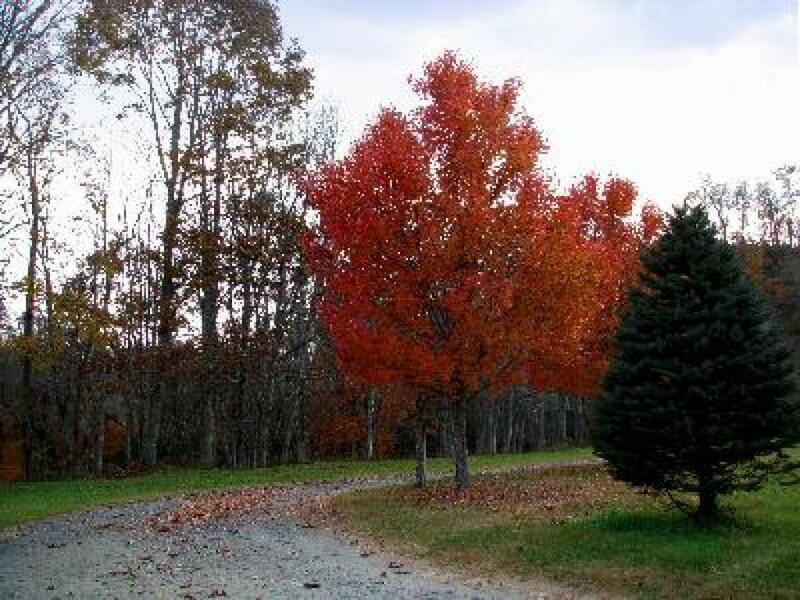 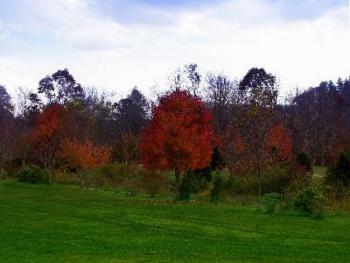 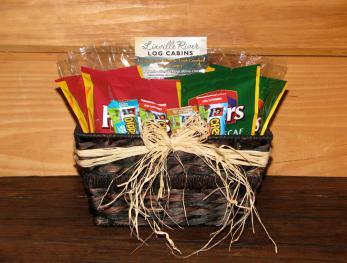 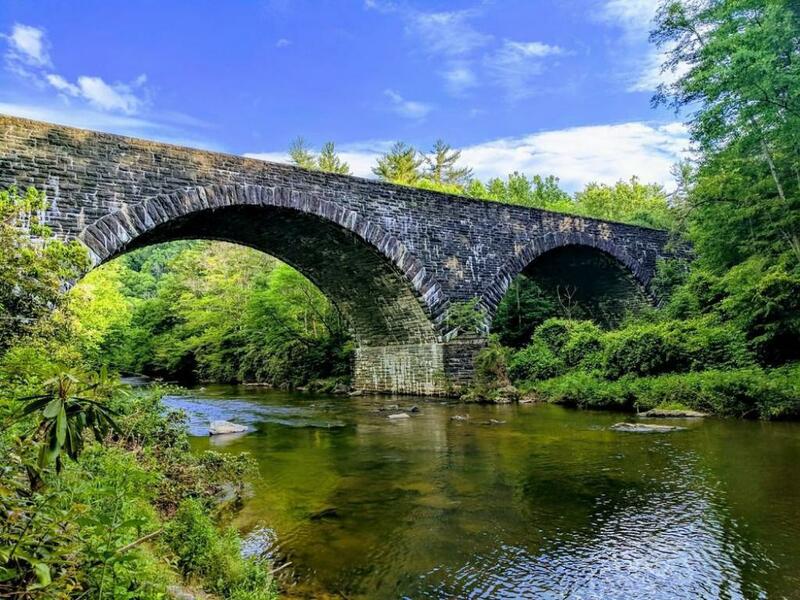 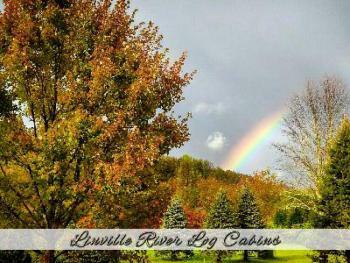 We are two miles north of the community of Linville Falls. Find the intersection of US HWY 221 and the Blue Ridge Parkway. 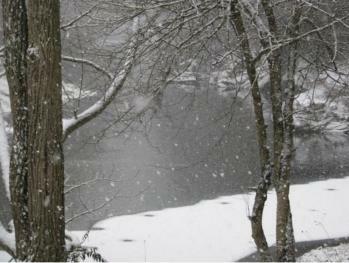 We are two miles north on the right. 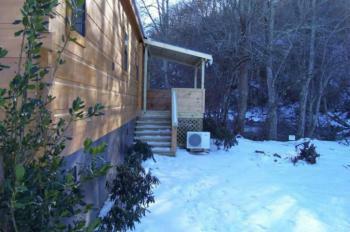 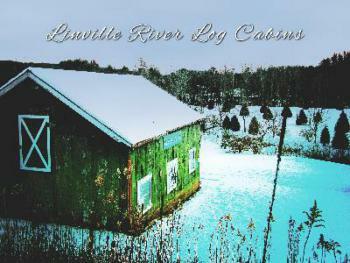 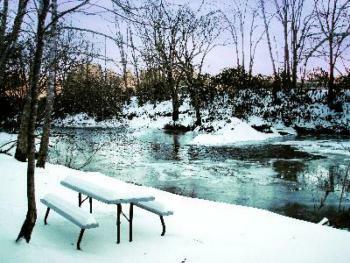 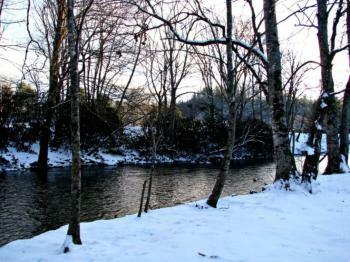 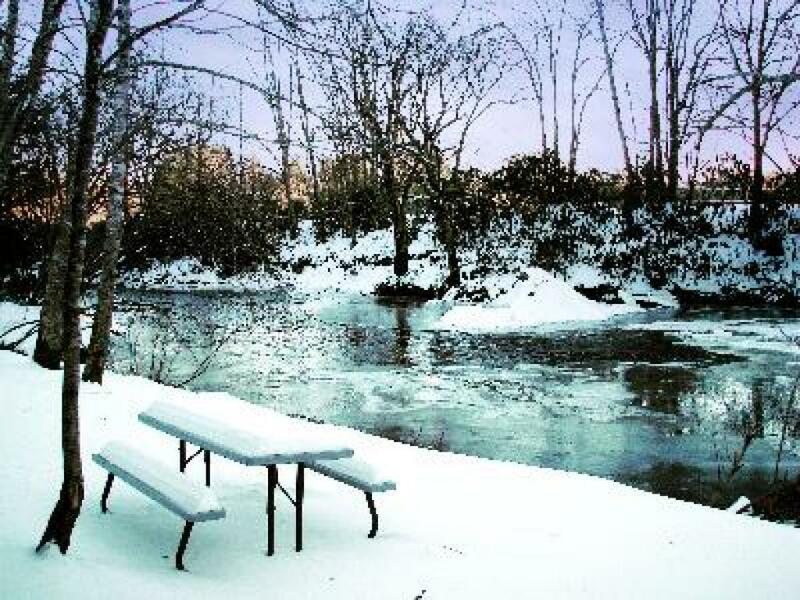 The cabins are all riverside along the Linville River and about 300 yards off the highway.